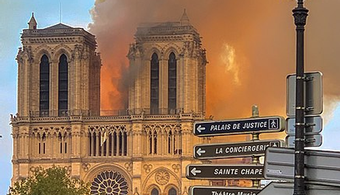 On Monday evening, flames engulfed the more than 850-year-old Notre Dame Cathedral in Paris, destroying the spire and nearly two-thirds of the roof. According to reports, a trench collapse at an apartment complex project in North Raleigh, North Carolina, on Tuesday killed one and injured two more. 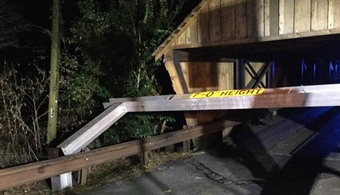 A protective barrier placed near a historic covered bridge, located in Smyrna, Georgia, crossing Nickajack Creek, was struck on Dec. 4, for the 12th time this year, according to reports. 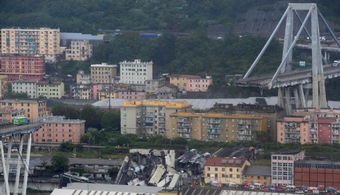 Three months after the collapse of Genoa’s Morandi Bridge, testing of debris from the site has begun, and a demolition date for what remains of the span has been set. 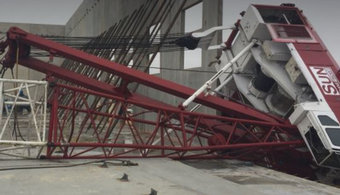 The Sunshine Bridge, a crucial connection for St. James Parish, Louisiana, was struck by a barge-mounted crane Oct. 12, forcing officials to close the bridge until further notice. 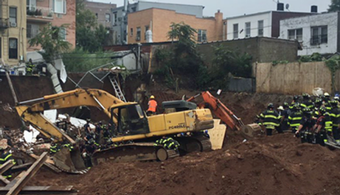 Late last week rescue crews recovered a body of a worker after a retaining wall collapsed Wednesday at a Brooklyn construction site. 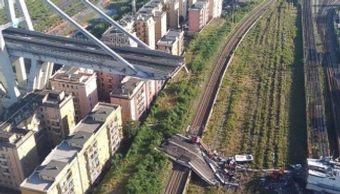 Dozens have been reported dead and more injured after the collapse of a 200-meter (656-foot) section of the prestressed concrete Morandi Bridge in Genoa, Italy, on Tuesday (Aug. 14). 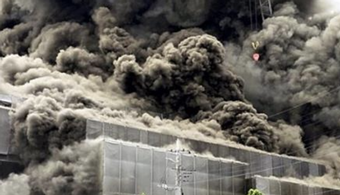 Dozens of people were injured and five were killed Thursday after a fire broke out on a construction site in the Karakida district of Tama, western Tokyo. Radioactive uranium has been found leaking through the floor of a South Carolina Westinghouse factory, continuing a 35-year track record of plant issues. 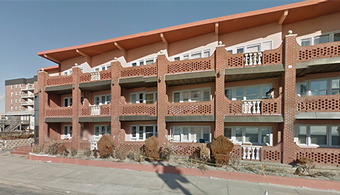 Days after a condominium came crashing down unexpectedly during a planned demolition, a criminal investigation has been opened and the one person injured in the incident has been identified. 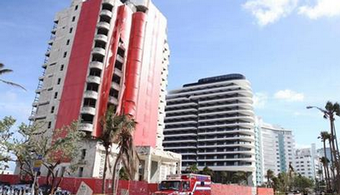 A vacant Miami Beach condominium that was slated for demolition came crashing down Monday morning injuring one construction worker, officials say. The company that was overseeing a Manhattan construction project where a worker died last fall has pleaded guilty to manslaughter. 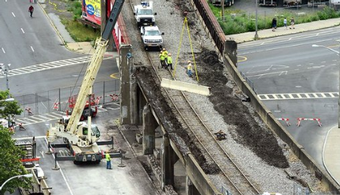 A portion of a railroad bridge collapsed in downtown Syracuse, New York, last Thursday, with engineers arriving to investigate the issue a few days after. 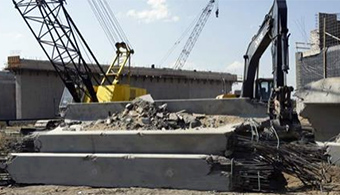 One worker was killed and another injured Friday (July 6) when a section of sidewall collapsed into a water tank that was under construction in Porter, Texas. 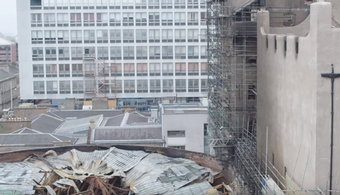 The Glasgow City Council recently announced that parts of the Glasgow School of Art’s Mackintosh building are to be dismantled in light of the fire that damaged the structure in mid-June. 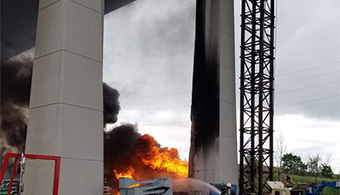 An explosion at a Texas construction site Tuesday afternoon has reportedly killed one construction worker and injured 15 more, and authorities are ruling the blast an accident. 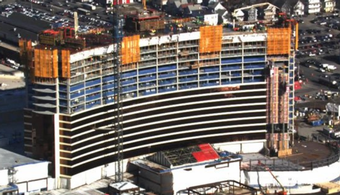 Investigators have opened a fourth case regarding the site of Massachusetts’ Wynn Boston Harbor resort and casino after a construction worker died in an accident last week. The Occupational Safety and Health Administration has cited and fined a New Jersey-based construction company six months after an accident killed ex-boxer David Bey. A Florida subcontractor is suing a Pennsylvania crane company in the fallout of last fall’s Hurricane Irma damage. 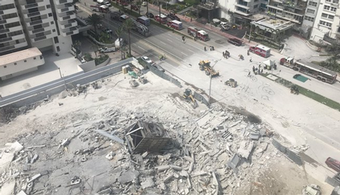 Rescue crews recently rushed to a commercial construction site in Miami-Dade, Florida, after reports said a man had been crushed by construction equipment. A construction worker died last week after a concrete column fell on him at the site of a housing project redevelopment in Billings, Montana. 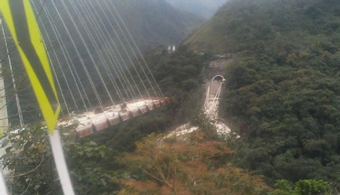 Ten construction workers have died, with an additional three reported injured, in the collapse of a 1,500-foot-long suspension bridge under construction in Colombia, according to reports. 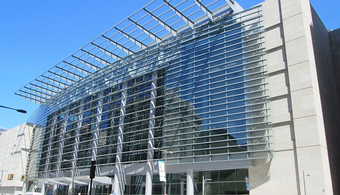 For the first time in the state’s history, a Washington contractor is facing felony charges in connection with an employee’s death. 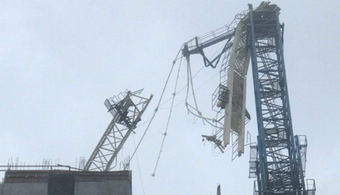 Only minor injuries were reported on Wednesday (Jan. 10) after a lattice boom truck crane toppled over at a construction site in Austin, Texas. 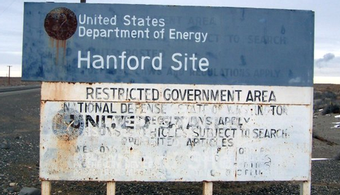 The U.S. Department of Energy announced this week that the waste storage tunnel that collapsed at its Hanford Nuclear Site in May has been stabilized. An Edmonton, Alberta, man has died after being exposed to walnut blasting materials used to remove paint from a fire station, leading to a call for regulating such products. 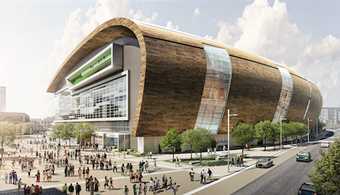 An electrician working on a new arena in Milwaukee died late last week after falling off a ladder at the site. 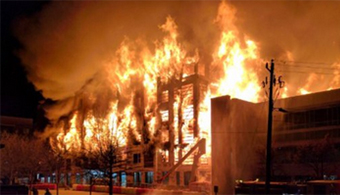 An Edmonton, Alberta, man has died due to exposure to walnut blasting materials used to remove old paint from a fire station, leading to a call for regulating such products. 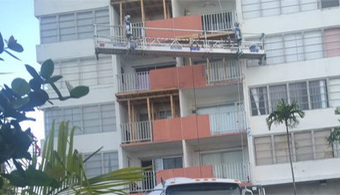 A Miami construction worker reportedly died Friday afternoon (Oct. 20) after falling 10 stories. A construction worker who suffered a broken neck from a work site accident settled his lawsuit last week for $17 million. 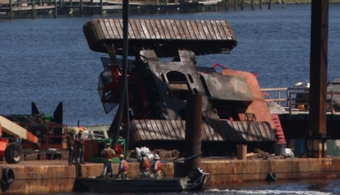 A piling went crashing into the Halifax River Tuesday (Sept. 26) afternoon after reports say a crane that was being operated on the Tom Staed Veterans Memorial Bridge project toppled. 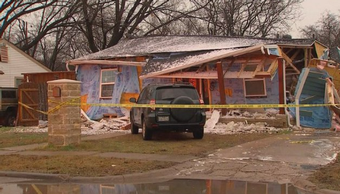 A house explosion that killed a painter last week is now under investigation by the Occupational Safety and Health Administration. 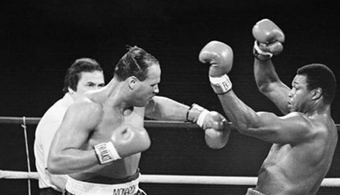 Former heavyweight boxer David Bey was killed in a construction accident last week in Camden, New Jersey. According to reports, he was struck by materials. 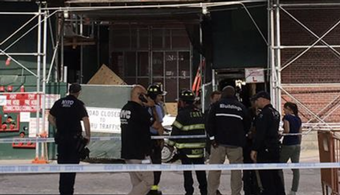 Two construction workers were killed in two separate work site incidents that occurred on the same day in Manhattan. 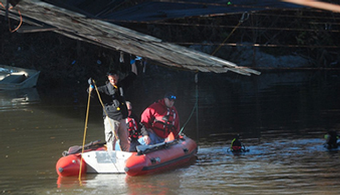 A worker at an Atlanta construction site was involved in a fatal accident Friday afternoon. 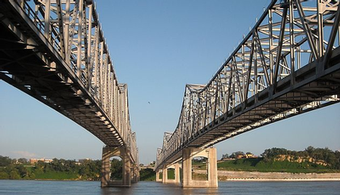 Authorities are looking into whether heat exhaustion was to blame for the death of a worker on a bridge painting and rehabilitation project on the Mississippi-Louisiana border Wednesday. 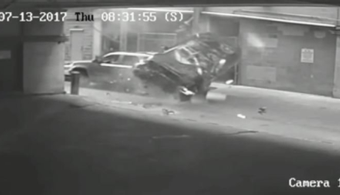 A woman injured when her car fell from the seventh story of a Texas parking garage last month is suing the operators of the garage over what she says were insufficient barrier structures. 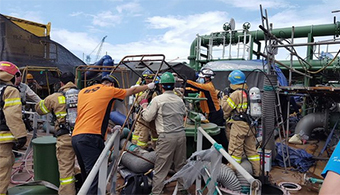 Four men were killed in an explosion while performing painting work at a shipyard in the South Gyeongsang Province of South Korea on Sunday (Aug. 20). 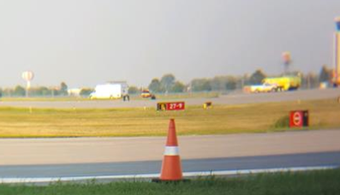 In North Dakota, a runway painter was struck by a vehicle and killed, and the accident is still under investigation a week later. Corrosion is being blamed for an incident at the Ohio State Fair last month that left one person dead and seven others injured. 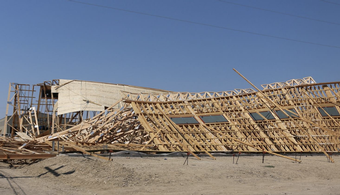 An onion storage building collapsed last Wednesday (Aug. 2) in Parma, Idaho, injuring six workers. 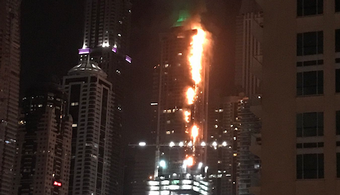 Fire broke out at 1 a.m. local time in the 87-story, 1,100-foot tall residential skyscraper known as Torch Tower in Dubai early Friday (Aug. 4). Three construction workers were injured last Wednesday (July 26) while pouring concrete in a West Virginia parking garage when the area they were working in collapsed. 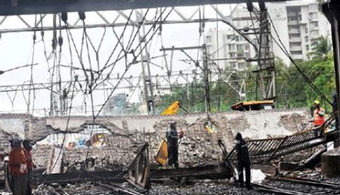 Two people have been arrested in relation to a building collapse in Mumbai’s Ghatkopar neighborhood last week that killed 17 people, Parksite police say. 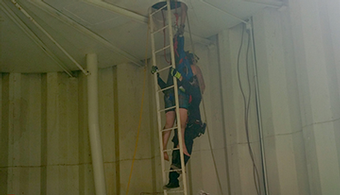 A worker on a water tank maintenance job in northeast Florida was rescued Wednesday afternoon after falling ill in what authorities have suggested was likely a heat-related incident. A man was killed on Tuesday afternoon while working on the foundation of the Woburn Public Library in Woburn, Massachusetts. 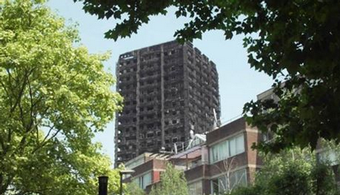 The Metropolitan Police Service announced late last week that a criminal investigation has been opened regarding the fatal fire at London’s Grenfell Tower. Three workers were injured in a construction accident in Queens earlier this week when the roof of the building they were working on fell in. 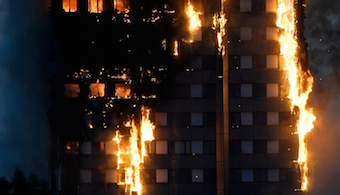 A cloud of speculation surrounds the cause of the fatal fire that tore through a London high-rise early Wednesday morning. 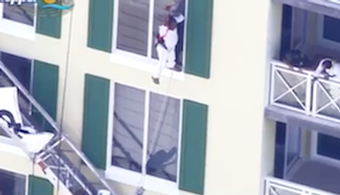 A construction worker is safe after dangling from a scaffold for nearly an hour on Sunday morning in Sarasota, Florida. 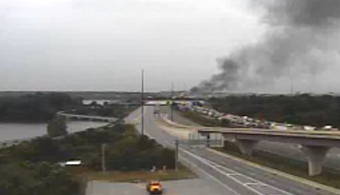 A major bridge over the Delaware River between New Jersey and Delaware was shut down for a time Wednesday morning after a fire that was reportedly sparked by a welder’s torch. 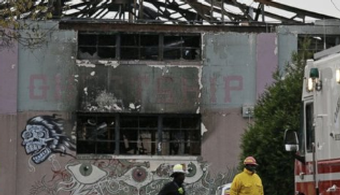 Two men have been charged with 36 counts of involuntary manslaughter for the Dec. 2 fire at the “Ghost Ship” warehouse in Oakland, California. 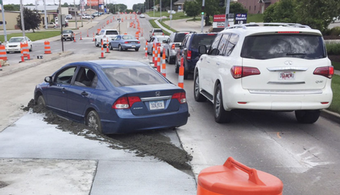 A teenage motorist will be billed $10,000 to repair damages caused when he drove his car into freshly poured concerte on a Nebraska road. 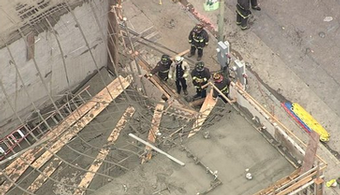 A dozen workers came away with only minor injuries last week when a building under construction in Oakland, California, partially collapsed. A construction worker who was partially blinded on a job site has been awarded $2 million after a New Jersey jury found the contractor negligent. 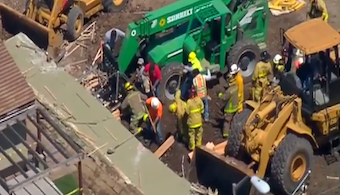 A collapsed concrete wall at an El Cajon, California, work site has killed one construction worker and left another injured. 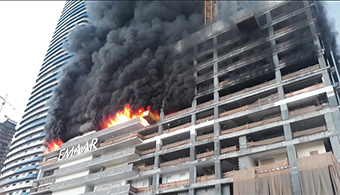 Authorities are investigating the cause of a massive fire Sunday (April 2) at a tower under construction in Downtown Dubai—the latest in a spate of high-rise fires in the area since 2012. 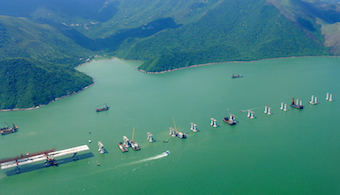 A massive sea bridge that includes a 4-mile stretch of tunnel is still on target to meet its deadlines, officials say, despite numerous logistic and construction setbacks. A Massachusetts man died Tuesday (March 21) afternoon while he was painting the exterior of Fire Department Engine House 5 in Salem. 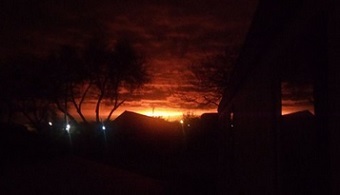 Officials are investigating what led to an explosion on a natural gas pipeline in Refugio County, Texas, early on the morning of Wednesday, Feb. 15. 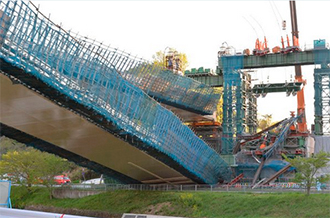 Two workers were injured Wednesday morning on a bridge-painting worksite in Portland, Oregon. Authorities are investigating the falling death of a 40-year-old British worker on a World Cup stadium project in Qatar on Thursday (Jan. 19). Federal workplace safety regulators are investigating the crushing death of a worker at a structural steel facility in Bensalem, Pennsylvania. 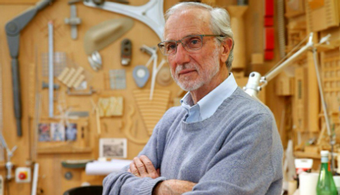 A New York general contractor convicted of manslaughter last June has been ordered to pay a $10,000 fine after refusing to obey the original sentence imposed, authorities relate. 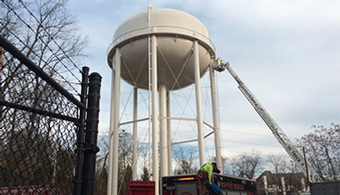 A water tank inspector was killed during a tank dive in Braintree, MA, Thursday (Dec. 15), when his equipment reportedly failed. A worker at a specialty coatings plant in Indiana was killed Wednesday (Dec. 14) after falling into a paint tank, according to reports. 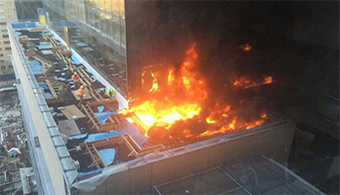 A rooftop area of a hospital building that is currently under construction was the site of a fire that sent black smoke billowing over Manhattan Wednesday (Dec. 14). 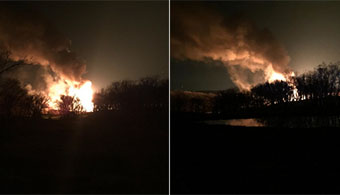 Investigations are underway into the cause of a gas pipeline explosion and resulting fire Tuesday night in Platte County, MO. Federal safety officials are investigating an accident outside Pittsburgh in which a scaffolding failure caused a painter to fall inside a water tower Monday (Nov. 14). 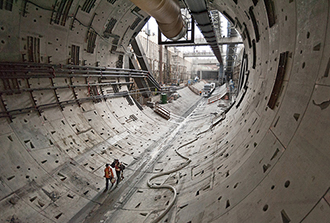 Canadian safety officials are investigating an accident in a light rail transit project tunnel that temporarily trapped three construction workers Thursday (Nov. 10). 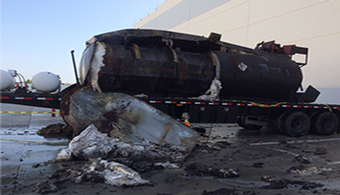 A California roofing contractor faces nearly $25,000 in fines after a tank explosion burned two workers and launched them 10 feet to the ground. 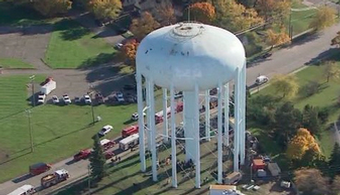 State investigators are looking into what happened to cause two painters to fall into a Michigan water tower Friday (Nov. 4). 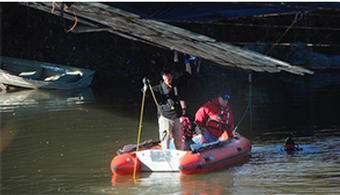 Emergency response crews were called to perform a water rescue after five painting contractors fell into the water from a bridge in Kingsbury, NY. One worker did not survive. 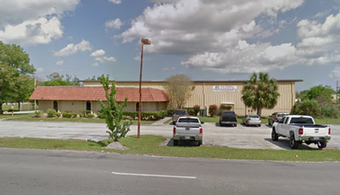 Federal workplace safety regulators are investigating after a Florida painting contractor was injured Friday (Oct. 28) in a fire said to have been sparked by a spraying machine. 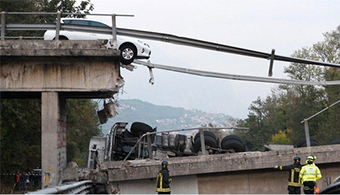 Italian authorities have opened a criminal investigation into the collapse of a highway bridge near Milan late last week that left one driver dead and injured 5 others. 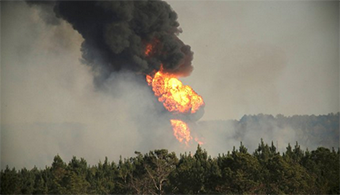 A gasoline pipeline in Alabama that ruptured just weeks ago, causing a massive spill, was the site of an explosion Monday (Oct. 31) that killed one worker and injured at least five others. 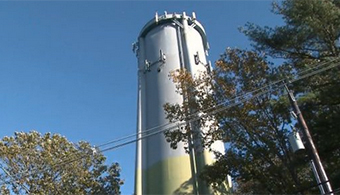 Inspectors are working to determine what caused the top of a water tower in New Jersey to collapse late last week. 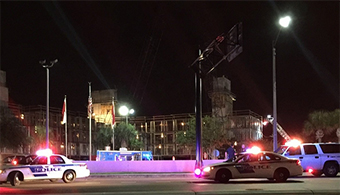 Authorities are investigating a deadly scaffolding failure at a mural project on a construction site in Hollywood, FL, according to local reports. 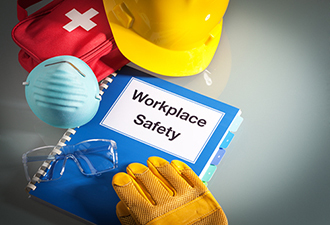 Implementation of a controversial new rule regarding workplace health and retaliation has again been postponed by the Occupational Safety and Health Administration. 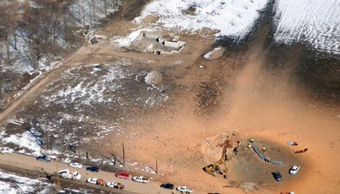 A Chicago-area demolition company has been cited by the federal government over safety violations stemming from an April incident in which a worker was killed and three others were injured. 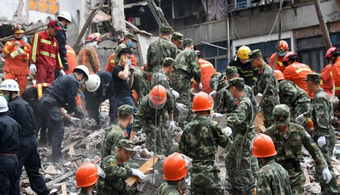 Four buildings in a city in eastern China collapsed early Monday (Oct. 10), killing at least 17, according to reports from the scene. 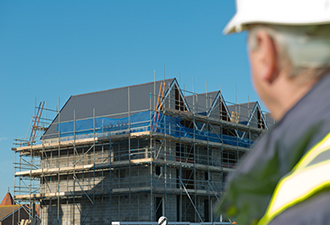 Federal workplace safety regulators say a Florida roofing contractor’s safety failures resulted in the partial impalement of a worker in March. It had been the worker’s first day on the job. 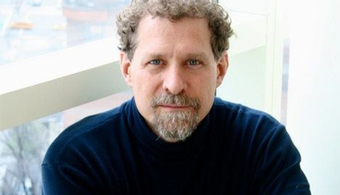 Federal and local authorities are investigating the falling death of a New Jersey architect in Midtown Manhattan on Thursday (Sept. 15) afternoon. Work came to a halt on an Oregon railroad overpass last week when two concrete beams, weighing 130 tons apiece, collapsed onto railroad tracks the new structure was intended to cross. 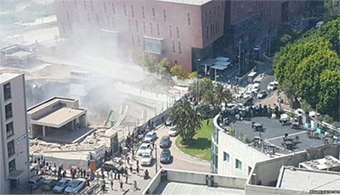 The collapse of an under-construction four-story underground parking garage near a medical center in Tel Aviv, Israel, remained under investigation Tuesday (Sept. 6). 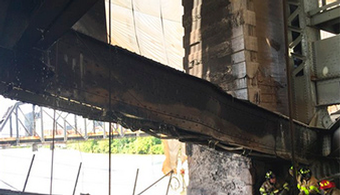 A major bridge under renovation in Pittsburgh was shut down immediately following a fire that broke out Friday (Sept. 2), putting the structure at risk of collapse. A worker on a bridge painting project in North Carolina fell to his death early Tuesday, according to local media reports. 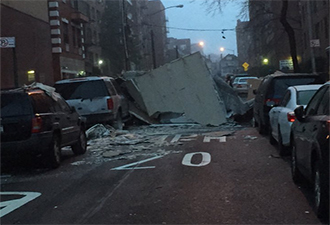 Authorities are investigating what caused multiple balconies to collapse Tuesday morning at an aging apartment complex in Long Island, NY. 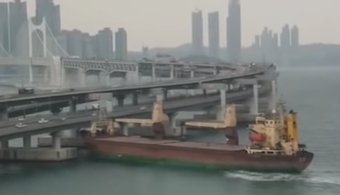 Two workers reportedly escaped without serious injury after the crane from which they were performing a bridge inspection tipped over Monday (Aug. 29). A construction worker died Monday (Aug. 22) after falling from collapsing scaffolding at a building expansion project in Las Vegas, reports relate. The Construction Industry Institute is touting a new tool for predicting, and reducing the risk of, deadly accidents in the construction industry. A construction worker in Florida died Wednesday (Aug. 17) of injuries sustained when the scaffolding he was working from collapsed, according to local media reports. 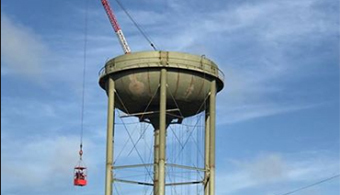 Investigations are underway to determine what led a painter to fall 50 feet to his death Monday (Aug. 15) while at work on a water tower project. A flooring company in New Zealand has been fined over worker safety issues after an employee was burned by a fireball while applying adhesive. 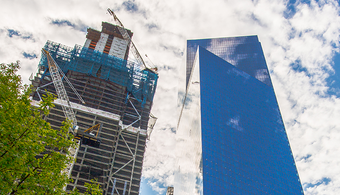 Three World Trade Center, currently under construction, suffered only minor damage Thursday night (Aug. 11) when a construction crane hit the building. Federal workplace safety authorities are investigating the death of a worker at a coil coating plant in Denver. 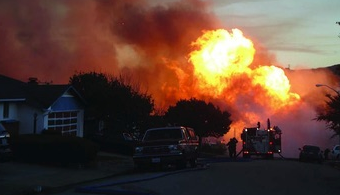 The utility company involved in the 2010 San Bruno, CA, pipeline explosion will be facing only a small fraction of the criminal penalties prosecutors had originally been seeking in the case. 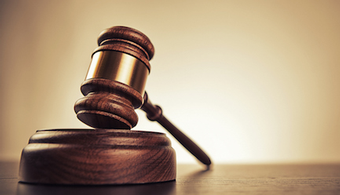 Employers anticipating enforcement to begin in August for provisions of the new federal injury and illness tracking rule are getting a brief reprieve. 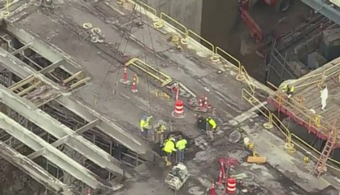 Injuries were reported and traffic came to a standstill mid-day Tuesday (July 19) when a construction crane collapsed onto the Tappan Zee Bridge in New York. Federal workplace safety regulators have delayed enforcement of anti-retaliation provisions in its new hot-button injury and illness reporting rule. 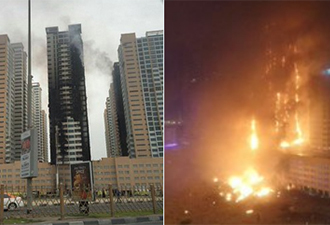 Eight people were killed when the construction elevator they were in dropped 18 stories in eastern China, according to reports. 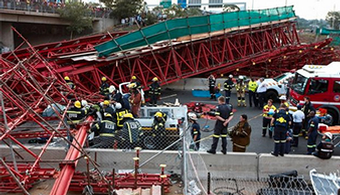 The official inquiry into a 2015 fatal bridge collapse in South Africa has called out potential causes ranging from material quality and workmanship to a gust of wind. 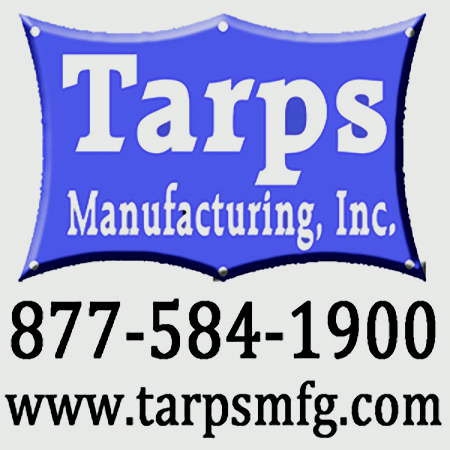 An explosion injured five workers in the casting area of an aluminum extrusion plant in Georgia. Federal officials are investigating what led to two late-night explosions and the resulting fire at a natural gas processing facility in Pascagoula, MS.
Federal safety regulators are investigating a partial floor collapse at a Florida hotel construction project that injured five workers Tuesday (June 28) morning. 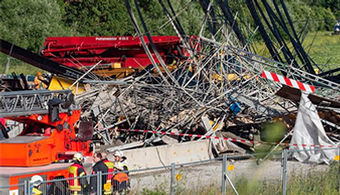 A newly built section of a bridge on Germany’s Autobahn system collapsed Wednesday (June 15), leaving one worker dead and seriously injuring six others. 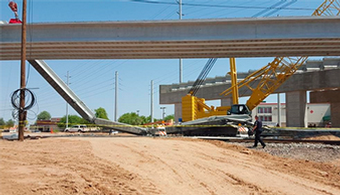 State health and safety officials are investigating an incident at an Arizona bridge and interchange construction site that left two workers injured. 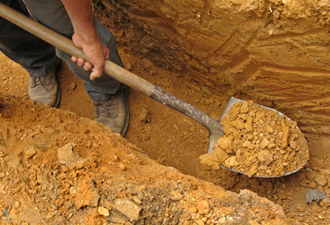 A New York construction company was convicted Friday on a manslaughter charge stemming from the death of a worker in a trench collapse in Manhattan last year. 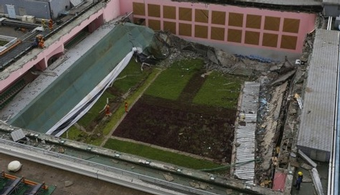 Contractors and university staff are on the hot seat weeks after a green roof collapsed, injuring three, at City University of Hong Kong. 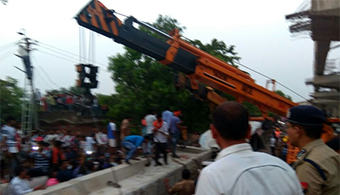 Seven construction workers were killed Saturday (May 14) evening at a five-story mall project under construction in Guntur, India. 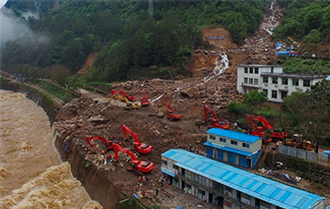 Hundreds of rescuers assembled to search for the missing after a landslide swept through a hydropower plant construction site in southeast China. 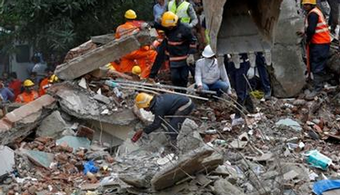 A baby has been found alive and safe amid the ruins of a collapsed multifamily residential building in Nairobi, Kenya, but the number of victims has topped 21 and is expected to rise. 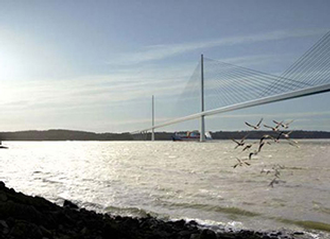 A Scottish health and safety agency is investigating the events that led to the death of one worker and injury of one other on the country’s new Queensferry Crossing bridge project. As the world awaits the 2016 Olympic Games kickoff in Rio de Janeiro this summer, Brazil’s preparations have claimed 11 lives. Area police are looking into potential safety management issues at the site of a fatal construction accident in Japan’s Hyogo Prefecture. 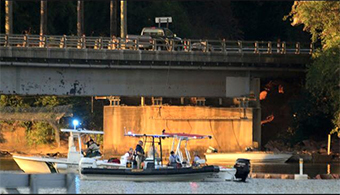 A jury awarded $17.72 million to the family of the worker who drowned during bridge construction on the Baylor University campus in 2014. 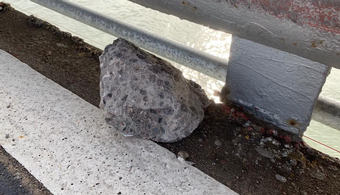 A woman’s car window was shattered Thursday (April 14) when a portion of wet concrete fell from a construction site in downtown Jersey City, NJ, according to various news reports. 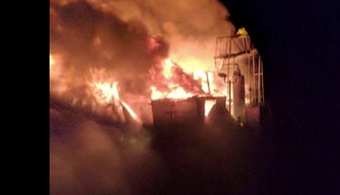 Authorities are investigating the cause of a recent blaze at a paint and coatings factory in Norfolk, MA. 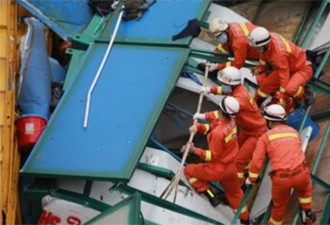 A construction crane collapse that killed 18 workers in China remains under investigation. 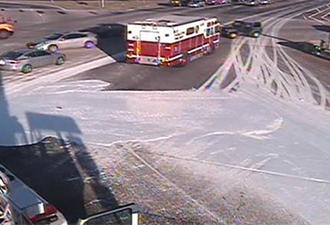 Drivers in Charlotte, NC, had some white stuff to deal with on the roads Friday morning (April 8), but it wasn’t snow. 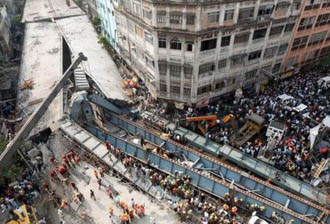 Three officials from the company building the overpass that collapsed Thursday (March 31) in Kolkata, India, have been arrested in relation to the incident, NPR reported Saturday (April 2). Federal safety and health regulators said more than 10,000 severe work-related injuries were reported to OSHA during the first year of the agency’s new reporting requirement. 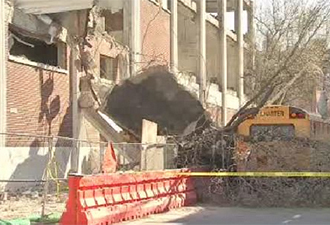 Authorities in Philadelphia are investigating what caused a building under demolition to partially collapse Thursday (March 17) striking a tree, street lamp and school bus. More than 10,000 severe work-related injuries were reported to OSHA during the first year of the agency’s new reporting requirement. 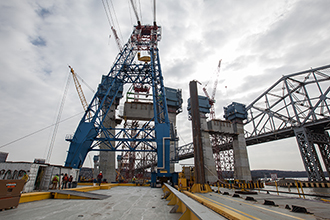 The construction zone of the new Tappan Zee Bridge was the site of a fatal tugboat accident earlier this week, but construction crews on the scene were unharmed. The manager of a construction site safety inspection consultancy in New York City will spend one to three years in state prison for fraudulent inspections. Federal workplace safety regulators have imposed a $92,400 fine against an Alabama contractor with a history of safety citations for alleged fall hazards. 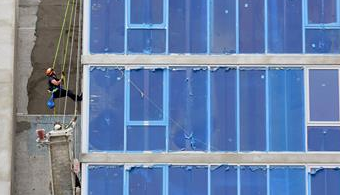 Construction workers and building professionals in New York City will see increased oversight and harsher penalties for skirting safety regulations in the coming months. 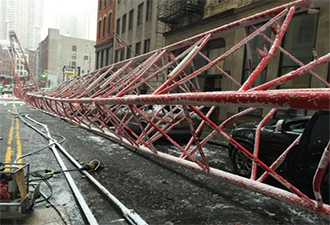 A portion of a Verizon building in New York City crashed down during a powerful storm that pummeled the area overnight Wednesday (Feb. 24), according to various news outlets. 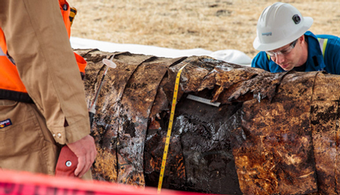 A federal pipeline safety agency has formally identified external corrosion as the cause of a May 19, 2015, oil spill along the Santa Barbara, CA, coast. 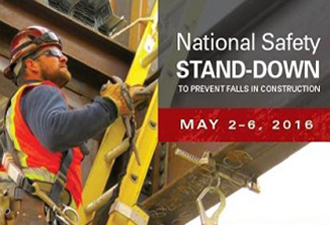 Millions of construction workers across the country are expected to take part in the third annual National Safety Stand-Down, organized by U.S. workplace health and safety officials. 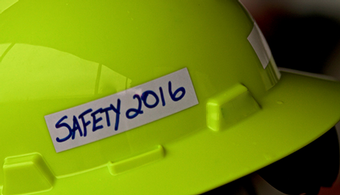 U.S. workplace health and safety officials have announced that the third annual National Safety Stand-Down will take place May 2-6, 2016. 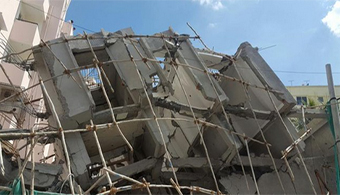 The developers of a collapsed two-decade-old apartment building in Taiwan have been taken into custody as questions regarding construction materials used within the structure have surfaced. Authorities are investigating what caused a crane to collapse in lower Manhattan Friday (Feb. 5), killing a 38-year-old man and seriously injuring at least three others. 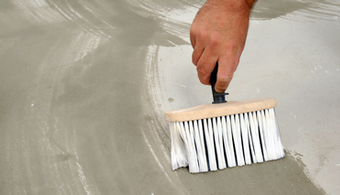 A Texas flooring company faces more than $66,000 in federal fines after a worker fell from a balcony at a commercial construction site, according to health and safety authorities. 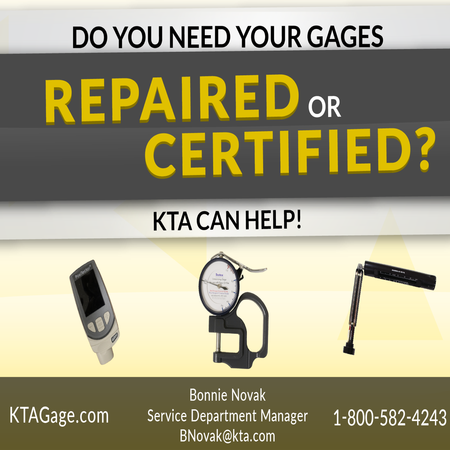 More secure completion cards for Occupational Safety and Health Administration volunteer safety classes will be in place by the end of next month. 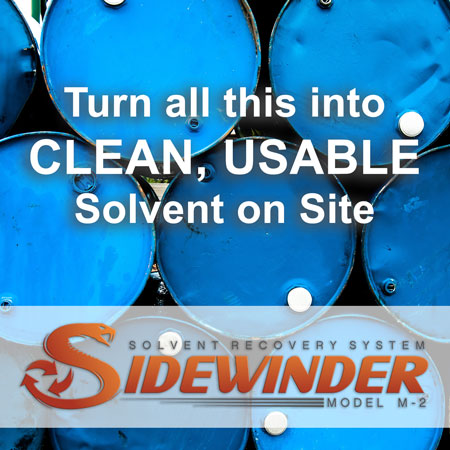 Several “process safety management deficiencies” led to a California refinery explosion that left four workers hurt and a city covered in ash, according to a recent report. 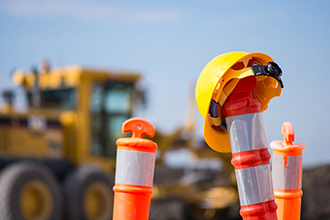 A northcentral Pennsylvania company faces $140,000 in fines after a worker was killed in a trench during a bridge renovation project last summer. 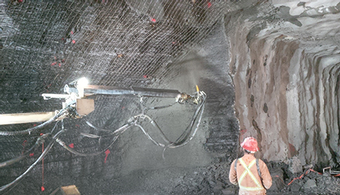 As 2015 came to a close, new rules on silica, beryllium and record-keeping were among those on the horizon—but not final yet. 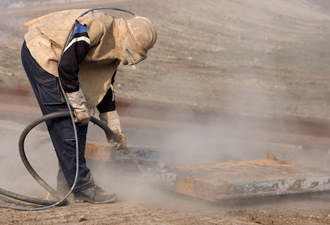 A final rule on silica exposure topped the list of health and safety rules that might affect the coatings and construction industries in 2016. 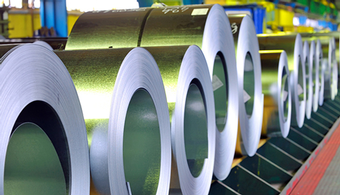 A steelmaker with a history of safety violations faces nearly $400,000 in fines for two inspections, including one after 1,000 pounds of equipment fell on a worker and injured him. 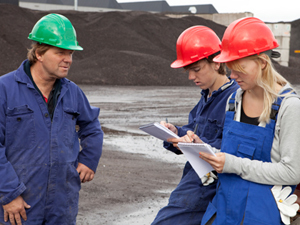 Do employers take worker safety more seriously when they know there will be formal or financial consequences? 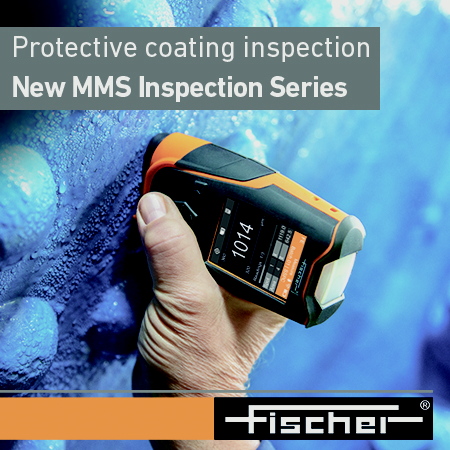 New research confirms previous studies that suggest citations and penalties from workplace inspections reduce injuries that occur on the job. What caused a seven-story parking garage to partially collapse last Friday in Dallas, burying hundreds of vehicles, remained under investigation Thursday (Oct. 29). 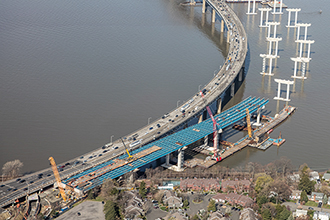 Work on the new Goethals Bridge site was stopped late last week when one of its enormous support girders fell during installation. Federal workplace safety authorities are investigating what caused a massive scaffolding collapse Friday (Oct. 16) in downtown Houston that sent six workers to the hospital. 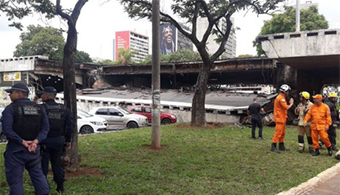 At least two people are dead and more than 20 others are injured after a temporary bridge near a Johannesburg, South Africa, construction site collapsed onto a highway. This case is pretty much black and white. Well, the paint involved is, but determining just who holds responsibility appears to be in a gray zone. 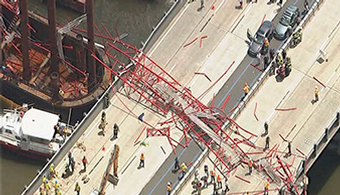 Seven construction workers remained in the hospital Monday (Oct. 12) after a California bridge on which they were working partially collapsed late last week and injured nine crew members. 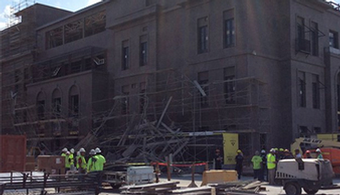 Federal workplace safety authorities say they are investigating the partial collapse of a one-story building that killed a construction worker on Thursday (Sept. 24) in Chicago. 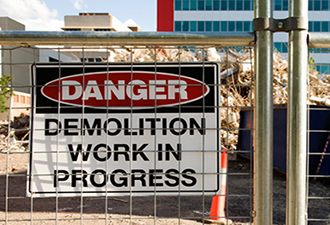 The number of fatal injuries on job sites is creeping up, according to the Bureau of Labor Statistics' Census of Fatal Occupational Injuries, based on data collected in 2014. Canadian groups opposed to a transcontinental pipeline proposal are saying that corrosion problems affecting another major pipeline could happen to the new one. 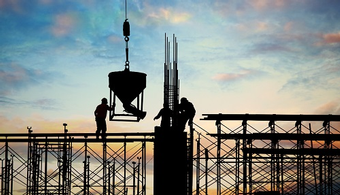 U.S. construction fatalities rose in 2014 to reach the highest level seen since 2008, according to newly released data from the Bureau of Labor Statistics. A platform situated underneath a bridge in Montreal gave way Tuesday afternoon (Sept. 15), dropping one worker into the water below. A big rig carrying thousands of gallons of paint led to some confusion and a lot of cleanup work after an accident Sept. 10 in California resulted in spilled paint in a watershed area. 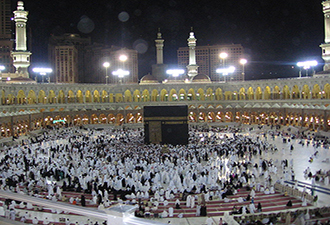 The cause of a construction crane collapse that killed more than 100 people in Mecca remained under investigation Monday (Sept. 14). 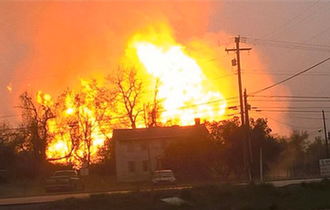 Investor Lawsuit Calls Out Pipeline Co. 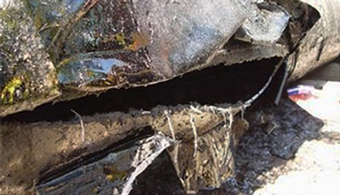 In the aftermath of an oil spill caused by a corroded pipeline, a Houston pipeline transportation and storage firm finds itself the target of a lawsuit filed by one of its own shareholders. 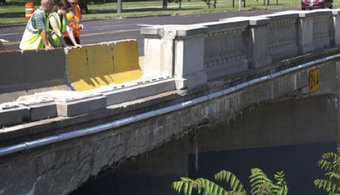 A routine bridge inspection turned fatal for one inspector in Connecticut last week. 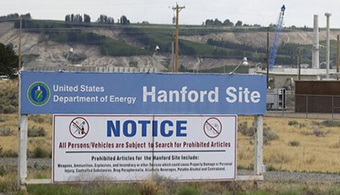 State and federal agencies are running separate investigations following the death of a government employee who was crushed by falling dirt while he was working in a wastewater culvert. 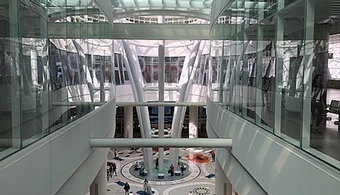 Choosing to defy a "stop work" order on a Milpitas, CA, job site has led to prison sentences for two California construction company agents, according to authorities. California workplace safety authorities are investigating the death of a construction worker who died after a bee swarm attack in Riverside. 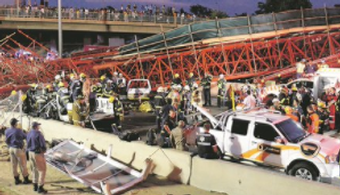 An Ohio-based construction company with long-standing state contracts has been fined for a fatal bridge collapse earlier this year. 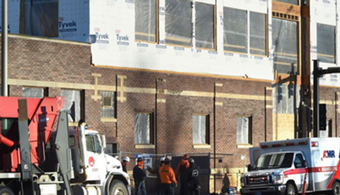 DANVILLE, PA--Federal safety authorities are investigating the fatal fall of a masonry worker at a hospital jobsite in Pennsylvania. TEMPE, AZ--Small cracks hold the seeds of catastrophically large structural failures, prompting Arizona researchers to find a new way of keeping a nano-sized eye on them. 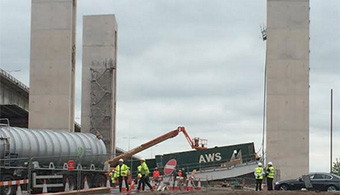 MILTON KEYNES, ENGLAND--Authorities are trying to determine what caused the roof of a new Audi dealership to collapse, damaging 34 luxury vehicles. STATE COLLEGE, PA--Federal authorities are investigating the death of a construction worker who was struck by a crane on a Pennsylvania State University renovation project. 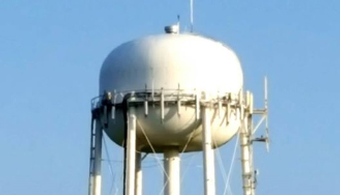 BARABOO, WI--Authorities are searching for more information into a fall this week that severely injured a painter inside a water tower. 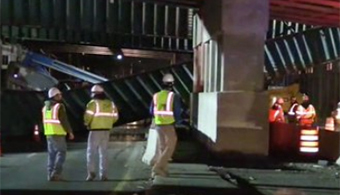 WILKINSBURG, PA—A federal investigation continues into the death of a construction worker who was fatally crushed on a busway overpass rehabilitation project near Pittsburgh. 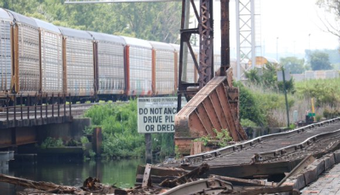 REVERE, MA—Federal authorities are investigating the cause of a crash that sent an excavator off a bridge during a rehabilitation project over the weekend. 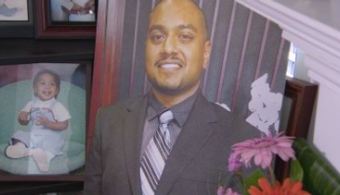 MILPITAS, CA—A California jury has convicted a construction company owner and project manager for causing the 2012 cave-in death of an employee in Milpitas. 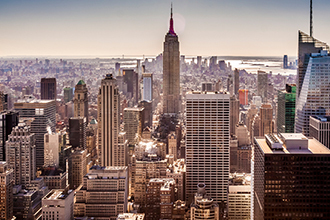 NEW YORK CITY—U.S. Air Force veteran Christian Ginesi survived a tour in Afghanistan before dying a month into a construction job. 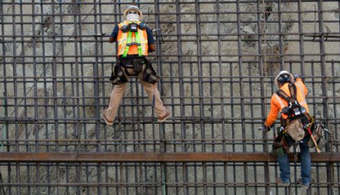 TUMWATER, WA—Two contractors are each facing $2,050 in fines after a rebar wall collapse that injured five ironworkers, one critically, in February. 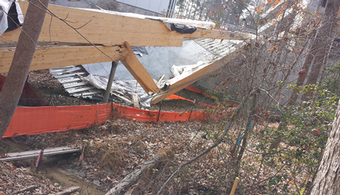 RALEIGH, NC—Flaws in the design of several bridge girders led to the collapse of two pedestrian bridges under construction at Wake Technical Community College, investigators have concluded. 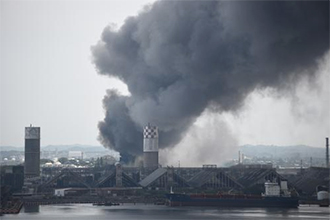 FORT DIX, NJ—A civilian painter serving 17 years in a federal prison for a $450 million blaze aboard a nuclear submarine now says he did not set that fire. 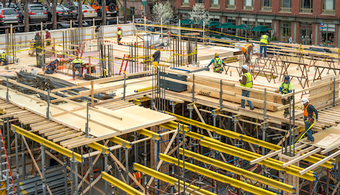 NEW YORK CITY—Fatal construction accidents in New York City are on the rise, drawing calls for action to stem the tide. STAVROPOL, RUSSIA—A dramatic video showing the massive explosion of a paint truck on a Russian highway is grabbing attention, but providing few answers, worldwide. 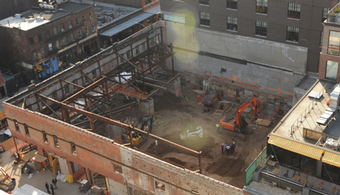 NEW YORK CITY—Poorly regulated, unsafe construction sites in New York have become a "disturbing" trend that merits greater federal inspections and fines, a new report contends. 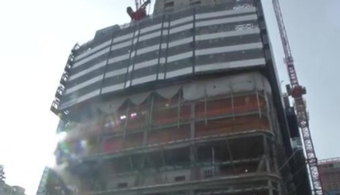 NEW YORK CITY—Authorities are investigating the death of a construction worker who suffered a 24-story fall in an unfinished elevator shaft on a luxury hotel project in Manhattan. 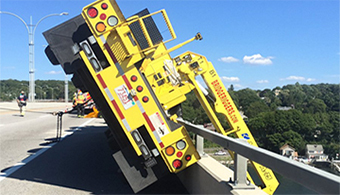 NEW HAVEN, CT—A crane operator on a Connecticut road and bridge project has died after falling from his equipment. 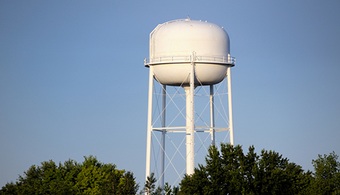 DAMIANSVILLE, IL—A 31-year-old painter has died after falling 100 feet from the top of a water tower about 30 miles southeast of St. Louis, MO. LONDON—The Swedish car maker that has built its brand on safety is thinking outside the boxy vehicle for its next improvement. 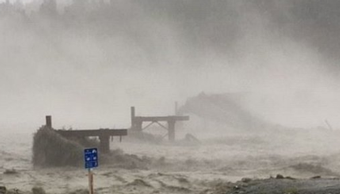 BONNEY LAKE, WA—A concrete barrier that fell from an overpass under construction has claimed the lives of a couple and their infant son. For the second time in less than a week, a worker at a Texas high school sports facility under construction has died. Authorities are investigating a construction accident at a Texas high school sports facility that killed one worker and injured three others Thursday (April 2). 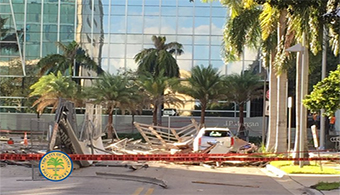 "Nearly cut in half" when a building fell on him, a former Florida construction worker has been awarded more than $64 million in damages by three different companies. A major nuclear release in 2014 at the federal government's waste disposal site in New Mexico has been traced to the wrong kind of cat litter. 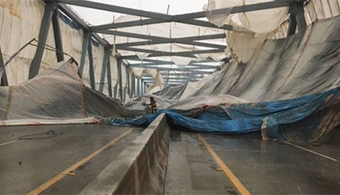 Federal safety authorities will not investigate the partial collapse of project scaffolding ripped apart by high winds in downtown Portland, OR, according to reports. A 62-year-old worker on a waste plant construction site has survived a horrific fall that left him impaled on a length of rebar. If you shatter your leg (or worse) in a fall from a scaffold, who is going to shoulder the six-figure medical bills? And fill the income gap while you recover? The financial hit caused by workplace injuries may be as devastating as the physical one, with rising expenses and declining income that persist for years, a new federal report finds. 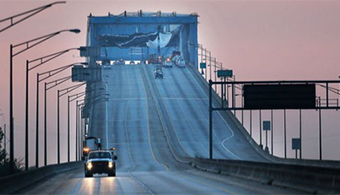 Washington State officials are trying to recoup $17 million they spent to repair a bridge wrecked by a truck driver with an oversized load. A Texas industrial maintenance worker was fatally engulfed in a silo full of sand and gravel when he slipped and fell at a concrete plant outside Atlanta, GA.
Homes, businesses and dozens of other structures in the Northeastern U.S. are grappling with roof failures and other structural threats and damage amid a winter of record snowfalls. A unique state law that holds employers and property owners 100 percent responsible for certain employee injuries is facing a dramatic shift after 135 years. 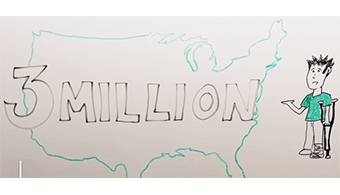 One of the nation's perennial leaders in workplace deaths per capita will not stiffen the consequences against employers for those fatalities. Ropes, pulleys and an aerial ladder were used to pull a Colorado construction worker to safety after he fell 30 feet to the bottom of a building under construction in Hudson. Oregon safety officials have fined a concrete contractor and the state's Department of Transportation for two unrelated worker deaths that happened a day apart. A new system is designed to ease, and offer anonymity for, employee reporting of workplace hazards and near-miss incidents. Safety investigators are blaming human error, not the employer, in the death of a bridge worker last fall in Oregon. A second worker death in less than a year has drawn 10 serious citations and a fine for a Texas steel galvanizer. LAS VEGAS—Close your eyes, and imagine the next accident at your job. Can you picture who is most likely to be involved? LAS VEGAS—"Too much finger-pointing" after the fact and not enough attention upfront to red-flag behaviors are making today's jobsites far more dangerous than they should be, Greg Ford says. 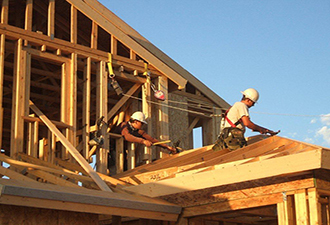 A Delaware homebuilder is being held liable for a severe head injury suffered by a high school student enrolled in a coop training program with the contractor. A "full investigation" is underway into the massive collapse of a 150-foot-long viaduct under construction as part of an embattled freeway project in California. 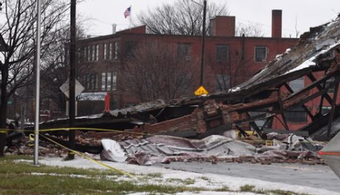 A construction worker has perished in the "catastrophic pancake collapse" of a Cincinnati overpass that was being prepared for demolition. 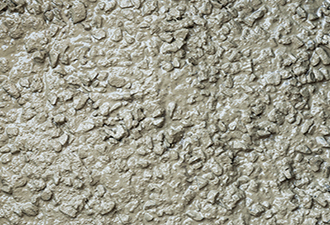 The lack of a nonskid sidewalk coating at a church in Florida has led to two falls, one disabled knee, and one seven-figure judgment. 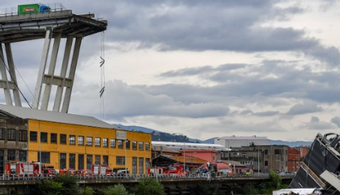 The general contractor on a floating bridge project is facing $170,500 in proposed penalties after a 13,000-pound weight broke loose from a tower crane and fell in Aberdeen, WA. 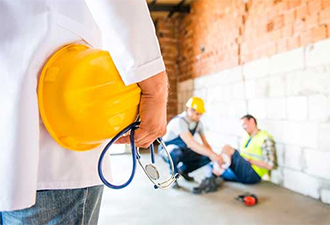 In an effort to reduce the three million annual injuries in U.S. workplaces, employers are starting 2015 with new federal reporting mandates. A jury in Florida has awarded nearly $2.6 million to a churchgoer who crushed her knee in a fall on a new sidewalk that lacked a nonslip coating. It shouldn't take three employees hospitalized at once before an employer is required to report the accident that led to it, federal safety officials say. Investigators are seeking the cause of a small explosion and fire at a Sherwin-Williams paint manufacturing plant in Canada. Concrete work has been suspended on New York's Tappan Zee Bridge after the collapse of three silos on a floating concrete batch plant. Burns, amputations, fractures and other serious injuries darkened the work day for three million U.S. private-sector employees in 2013, the government reports. 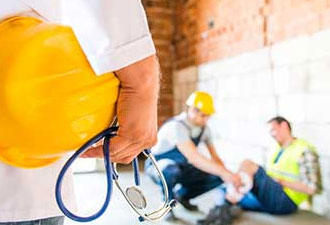 From back injuries to the loss of a limb, more than 3 million U.S. private sector workers experienced a serious injury or illness on the job in 2013, according to a new report. Federal safety authorities have issued one citation and a $7,000 fine in the deaths of three workers who were electrocuted by power lines while moving scaffolding last summer. A broken sewer line spewed yellow paint into West Virginia's Elk River, touching off fears of a chemical leak in the area. The collapse of a 214-year-old building in New Orleans’ French Quarter has led to concerns over the safety of the aging building stock in the historic neighborhood. Hours after a worker was killed in a bridge collapse at Wake Technical Community College, the same span in a similar bridge gave way there. 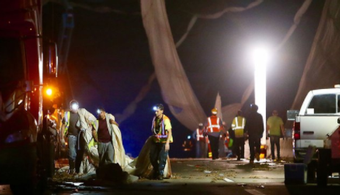 A bridge pour for a new pedestrian bridge at a North Carolina community college went fatally awry when the center span collapsed, killing one worker and seriously injuring four others. 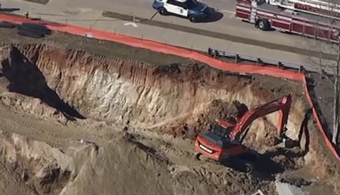 The CEO of a California construction company has returned to the United States to face manslaughter charges stemming from a trench collapse that buried an employee alive. 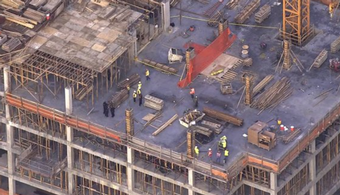 A New Jersey construction worker was struck and killed by a one-pound tape measure that fell some 400 feet at a nearly completed apartment project in Jersey City. 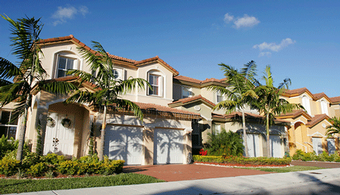 A Florida contractor is being held liable for second- and third-degree burns suffered by a 30-year-old painter whose ladder came in contact with overhead power lines. A grieving Wyoming family is demanding the establishment of a mandatory $50,000 fine for hazards that lead to a death in the workplace. Brett Collins' family says his life was worth more than $2,363—and they are determined to effect a change that may spare other families some of their sense of insult and loss. 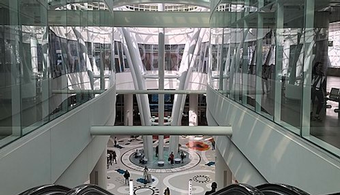 Engineers, owners and public officials all share the blame for a fatal mall collapse in Ontario in 2012, a judicial inquiry has determined. 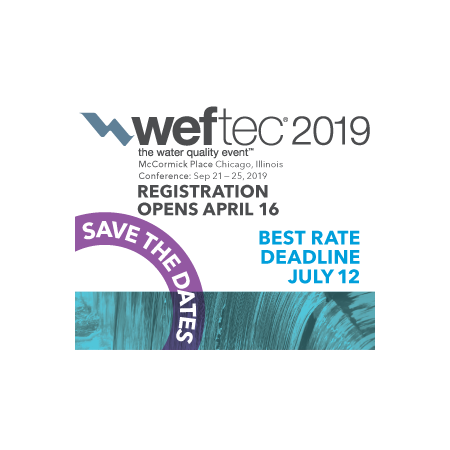 Facing a deadline, the American Coatings Association is asking federal regulators for more time to produce information on the industry’s risk-management plans for chemical releases. 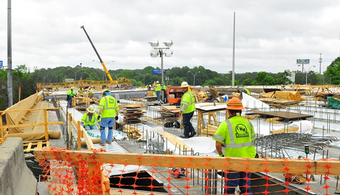 After six years of steady decline, U.S. construction fatalities rose by 8.7 percent in 2012, according to a new analysis of Department of Labor data. One worker was hospitalized, but others escaped injury Monday (Sept. 29) when the roof and walls of a marine storage building under construction collapsed in Maine. 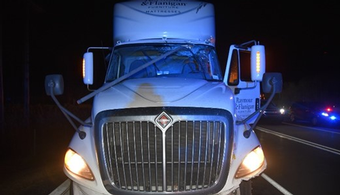 One man almost drowned in paint and two others were injured when the line painting truck they were in rolled off a narrow road outside of Pittsburgh, PA, officials said. 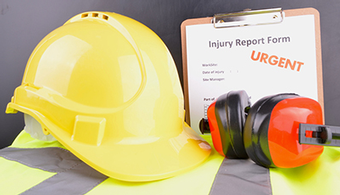 Sharpening its focus on severe injuries in the workplace, the U.S. will step up accident reporting requirements for employers as of Jan. 1. 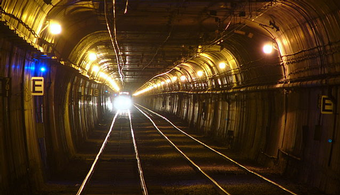 The Summer of Sinkholes has left the city of Seoul scrambling for construction culprits both above and below ground. Sinkholes that are erupting in Seoul, South Korea, may be coming from construction below the ground, not above it, city officials now say. Widespread employer concern over the public reporting of workplace injuries and illnesses has prompted U.S. regulators to rethink the plan. 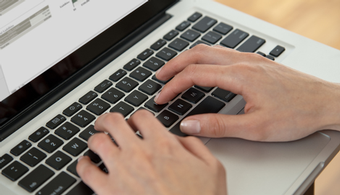 Facing criticism from the business community, federal regulators have extended the comment period for a controversial proposal to put injury and illness data online. 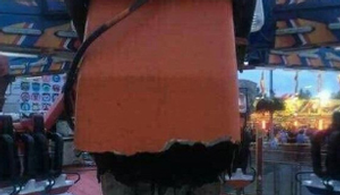 A California contractor is being held responsible for a flash fire inside a metal tank that left a painter severely burned—and for not reporting the incident for four days. 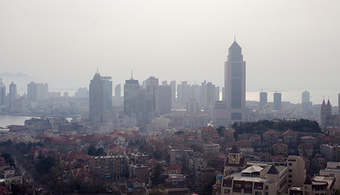 The spreading eruption of sinkholes throughout Seoul, South Korea, is now threatening progress on what was to be the capital's tallest building. 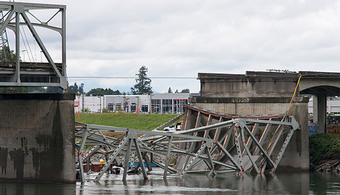 Poor route planning, insufficient signage, and cell-phone calls all led to a rig crash that took down Washington's Skagit River Bridge last year, federal investigators have concluded. A Montana roofing contractor faces $14,000 in federal fines for repeatedly failing to provide fall protection for a worker—this time, with fatal consequences. The "decision" to overload nine rooftop storage bins led to a plant collapse that killed two workers and injured nine others in January, federal authorities have determined. 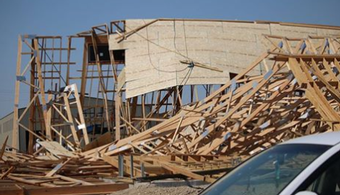 Eight Texas contractors face $53,480 in combined federal fines after a worker died from a 29-foot fall on a construction site in Canyon Lake, TX. 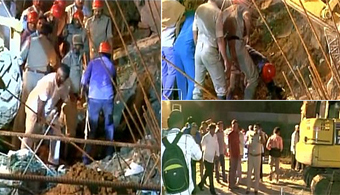 One day after recovery work ended at a building collapse that killed 61 construction workers, another collapse in the same Indian city killed 11 more workers and family members. A UK developer will serve a year in prison for supplying used asbestos roofing materials that collapsed, dropping a worker to his death. One construction worker has died and another remained seriously injured after the floor of a New Jersey restaurant partially collapsed during renovations. 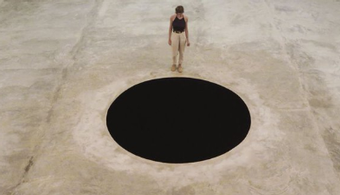 As the world awaits the first kick of the 2014 World Cup in 15 days, Brazil’s preparations for the event have now claimed an eighth life. A foundry owner critical of federal health and safety regulations is now dealing with a horrific workplace accident that sprayed his workers with molten metal. Trusses toppled on top of one another “like dominoes” in a mall addition under construction last week in Minneapolis, drawing attention to the project’s controversial developer. Federal authorities are holding a New York general contractor liable for the death of a young worker who was blown off the roof of a car dealership while working. 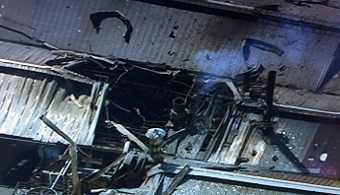 As victims recovered, investigators continued to search Wednesday for the cause of a massive roof collapse at the old Bethlehem Steel Mill near Baltimore, MD. 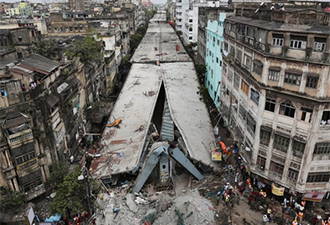 A contractor’s failure to brace an empty shell of a building left it a death trap on the brink of collapse on untrained workers, federal authorities have determined. 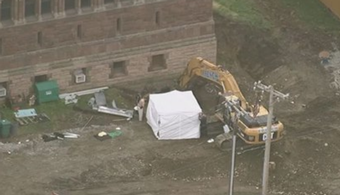 A construction worker was killed after being pinned beneath a concrete manhole form Monday (May 5) in Pennsylvania. Investigators in South Carolina were still puzzling Thursday (May 1) over the collapse of a 20-foot section of bridge that derailed railroad cars passing below it. Federal authorities are accusing a Pennsylvania concrete manufacturer of multiple repeat and serious violations of safety standards at its plant—the company’s fourth case in five years. 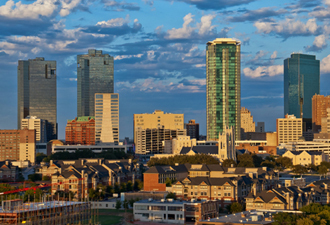 The City of Fort Worth, TX, says it will pay a homeowner $62,500 for its role in a case of mistaken demolition. Federal authorities are investigating the death of a 29-year-old painter who perished in a fall from a water tower in Virginia. 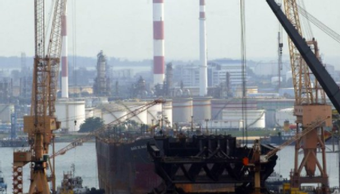 Confined-space hazards and other serious safety lapses caused a Florida worker to become trapped for hours in a tank of hot tar last September, federal authorities say. 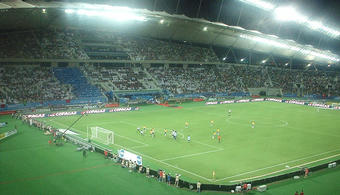 A 23-year-old construction worker has died after a 26-foot fall at a World Cup 2014 stadium in Brazil—the seventh worker fatality at a tournament site thus far. In a daring effort caught on video, a 56-year-old construction worker managed to escape a blazing apartment complex just seconds before it collapsed Tuesday (March 25) in Houston. 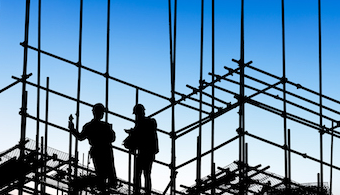 Federal safety authorities say they are investigating a scaffolding accident that severely injured two workers Tuesday (March 25) in Panama City, FL. 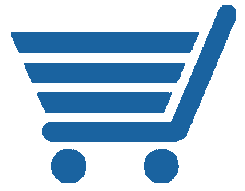 U.S. coating makers want to be counted out when it comes to online reporting of workplace injuries and illnesses. 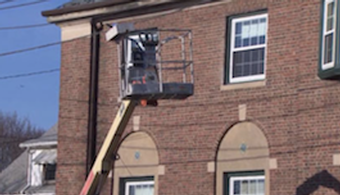 A supervisor for an Ontario contractor has been sentenced to 45 days in jail and her company fined $75,000 for a fall that left an employee paralyzed. 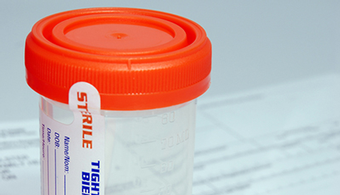 Coatings manufacturers want an exemption from a proposed federal rule that would make injury and illness records publicly accessible online. Federal safety authorities are holding a Georgia masonry contractor responsible for a 19-foot fall that claimed the life of an employee last September. 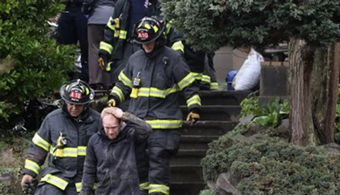 Cleanup and the search for answers continue in San Francisco, where a nearly completed multimillion-dollar luxury apartment building went down in a massive blaze last week. 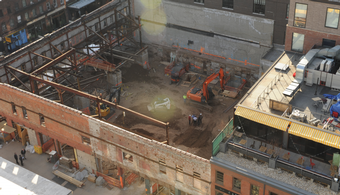 Authorities are investigating the death of a 36-year-old construction worker who reportedly fell down an elevator shaft while working at a condo construction site in Quebec. 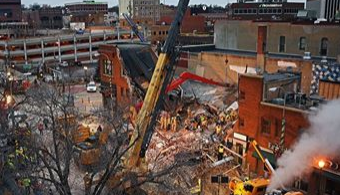 A Wisconsin general contractor has agreed to pay $126,000 in federal penalties to resolve safety citations following two fatal crane accidents in mid-2012. 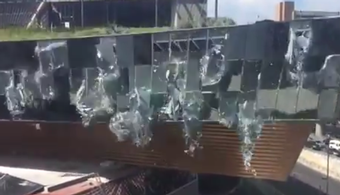 Flawed design, shoddy construction and inadequate building management are being blamed for the collapse of an auditorium roof that killed 10 people and injured 103 in South Korea. Thiago Santos, 29, probably has eight lives left. He used the first one to land, cat like, on his feet after falling 25 feet from the landmark Pulaski Skyway in Jersey City, NJ. 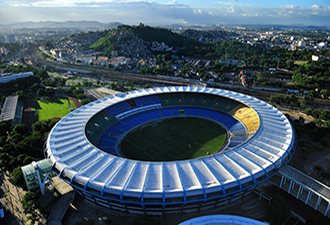 A worker dismantling a crane at a World Cup stadium project in Brazil was killed Friday (Feb. 7)—the third worker fatality at the site in less than a year. 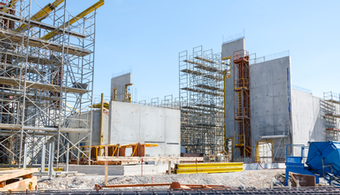 An Ontario court has fined a general contractor $100,000 in a concrete wall collapse that killed one subcontractor’s employee and seriously injured another nearly three years ago. Federal authorities are accusing PPG Industries of willful and serious safety lapses in the death of a worker last summer at its facility in Barberton, OH. Three investigations are underway after a defense contractor was killed and three others were injured in a foam fire suppression release at Eglin Air Force Base in Florida. 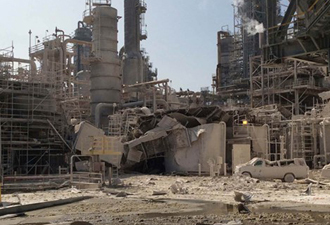 A Louisiana chemical plant is challenging fines issued in an explosion that killed two workers and injured 80 last summer, authorities said. 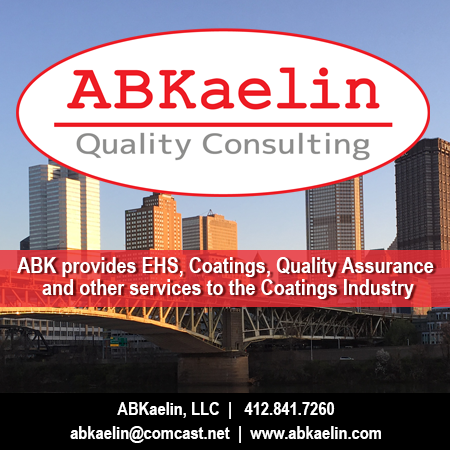 Federal authorities are accusing a longtime New England specialty coating maker of mishandling highly hazardous chemicals at its headquarters. Federal authorities are investigating the death of a construction worker who fell at least 20 feet from a hotel job site in Madison, WI. A temporary worker at a Pennsylvania pipe coating company is lucky to be alive after a large steel pipe fell on his back and pinned him face first to the ground, authorities said. A busy coastal road in Mexico has collapsed, dropping by nearly 300 feet in some areas and threatening to fall into the Pacific Ocean. Employers are getting more time to weigh in on a plan to mandate electronic reporting of injuries and illnesses, eventually making the data publicly available online. 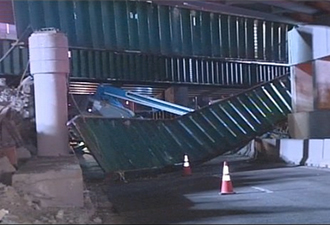 Authorities are investigating how an open Boston drawbridge came to crush a mother of two as she stood on it last week. 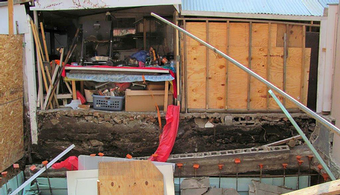 A former San Francisco building official’s house undergoing an unpopular major renovation tumbled down the city’s hilly terrain this week. Rescinding a “no violation” decision, California labor officials are now holding an elevator contractor responsible for the death of a worker on the San Francisco 49ers stadium project. With construction suspended, federal authorities are investigating the collapse of an industrial storage tank that sent two workers plummeting 60 feet to their deaths. 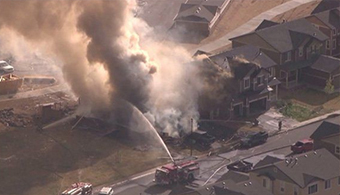 Authorities are searching for answers after two workers were injured in two explosions and a subsequent fire at a phenol plant in a Chicago suburb. Another accident at a Houston pipe manufacturer has followed two amputations, scores of citations, and well over $1 million in federal fines there. California labor officials have fined an elevator contractor $54,000 in the death of a worker at the 49ers stadium project in Santa Clara. 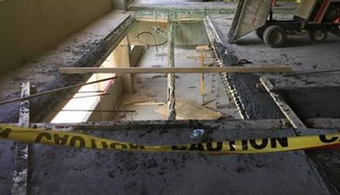 A commercial painter has been severely injured in a flash fire that apparently erupted when paint vapors ignited at a clubhouse project in Las Vegas, according to reports. 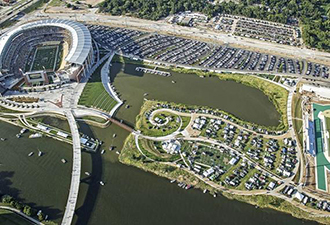 Authorities are investigating the death of a 25-year-old construction worker who fell Tuesday (Dec. 3) during renovations at the Texas A&M stadium in College Station, TX. Construction crews returned to work Monday (Dec. 2) at the site of a nearly completed World Cup stadium in Brazil where a crane collapse killed two workers last week. Lead- and arsenic-laced smoke sent 16 San Diego shipyard workers to the hospital after a fire started during abrasive blasting operations Thursday (Nov. 21), officials said. At least 50 people were confirmed dead and hundreds were trapped when the roof of a crowded supermarket collapsed during the afternoon rush hour in the Latvian capital of Riga. 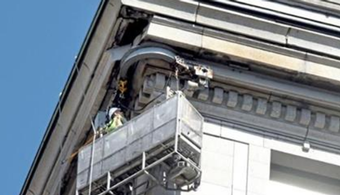 Federal safety authorities are accusing a Florida masonry contractor of recklessly allowing an employee to use defective fall protection before he lost his life in a 70-foot fall. 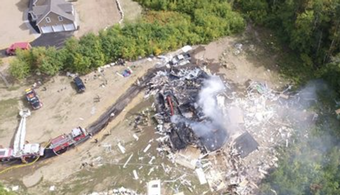 Stress corrosion cracking and a lack of inspections likely caused the fatal explosion at an Illinois manufacturing plant in 2009, the U.S. Chemical Safety Board has concluded. 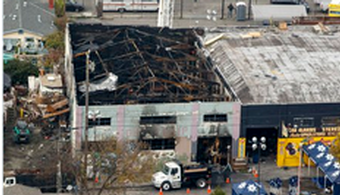 A Nashville contractor declined to replace a damaged cable on a crane before it collapsed, despite daily inspections showing replacement was needed, federal authorities say. 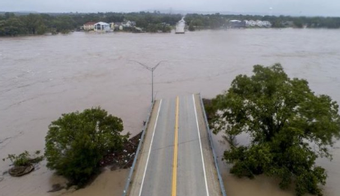 As if fixing failing bridges isn't costly enough, Texas must now replace a bridge that was in "very good condition"—until, that is, a tractor trailer knocked it down. Nearly 500,000 companies would start reporting workplace injuries and illnesses electronically, eventually making the data publicly accessible online, under a newly proposed federal rule. 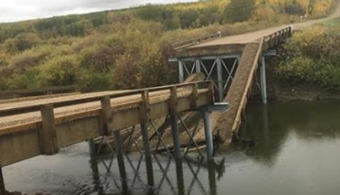 A 19-year-old construction worker has been critically injured in a 45-foot fall from a $187.5 million bridge construction project into a cofferdam, authorities say. 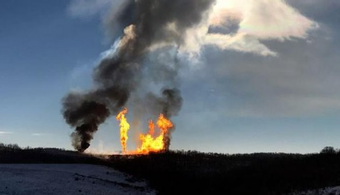 Lightning may be to blame for a pipeline hole that leaked 20,000 barrels of crude oil in North Dakota, new reports say. 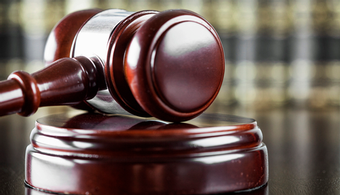 A Nebraska contractor says he will fight a $70,000 federal fine imposed in the death of one of his employees, even though he has been cited for the same violations before. 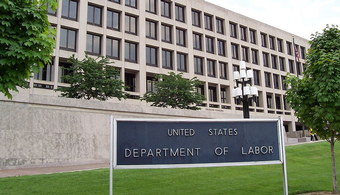 Conceding that its own rules no longer adequately protect workers, federal regulators are giving employers new resources to do the job themselves. Why did experienced elevator mechanic Donald White not move out of the way when he knew that an elevator was coming at him? 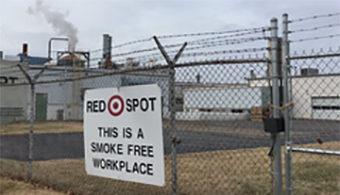 A mixture of coatings chemicals at Carboline’s Green Bay, WI, plant caused a high-temperature reaction that sent smoke billowing out of the facility Monday (Oct. 21), authorities reported. Federal health and safety officials are dishing out thousands more citations to employers this year for worksite hazards, but the causes remain stubbornly the same as last year. 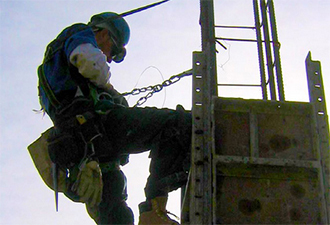 Employers may not be getting the message about fall protection, according to a new ranking that keeps those violations well atop a new Top 10 list of federal health and safety citations. The director of a large Russian shipyard is getting axed after a nuclear submarine caught fire during maintenance operations, injuring 15 people. A worker who may have removed his harness to reach a tight space on a sewer relining project was then swept to his death by flash flood waters in Chicago. A Wisconsin homebuilder is facing more than $15,000 in federal fines and multiple citations after a worker was killed in a fall of less than 10 feet. The U.S. Navy spent $71 million trying to repair a nuclear sub torched by a painter before deciding to scrap the vessel, a new report states. 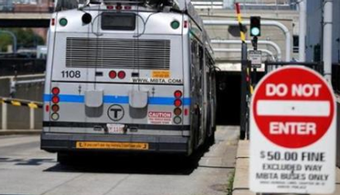 A "recidivist" Massachusetts framing contractor cited eight times since 2009 for federal health and safety violations is facing two new cases that carry more than $300,000 in fines. A painter was injured in a fall from a Delaware bridge over the weekend, but details about the fall—particularly the distance—remain unclear. 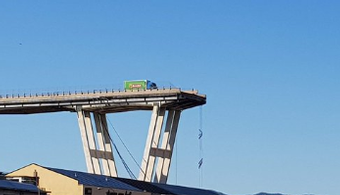 A Colorado construction worker is lucky to be alive after massive decorative concrete panels fell onto a hydraulic lift vehicle he was driving on a rail and highway project. 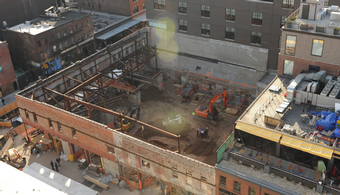 Federal and state safety authorities are investigating a pair of fatal construction accidents this week at demolition sites in St. Paul, MN, and Swoyersville, PA.
Ontario's top court has more than tripled the fines against a construction firm that lost four migrant workers in a notorious scaffolding collapse on Christmas Eve 2009. Deaths of roofers have reached a five-year high in the United States, despite significant overall improvement in the nation's workplace death toll, new federal figures show. U.S. construction deaths are back on the rise, even as the overall workplace death toll drops to one of its best records in a generation, the federal government reports. 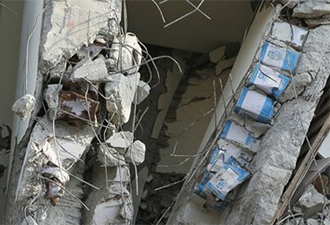 At least two people are dead after a seven-story residential building collapsed Sunday afternoon (Aug. 25) in Alexandria, Egypt. 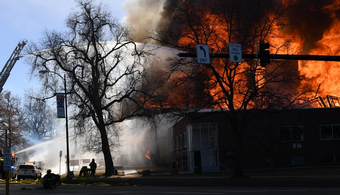 Federal inspectors are holding a utility contractor primarily responsible for a natural-gas explosion that leveled a Kansas City restaurant and killed one of its employees in February. A massive sinkhole opened beneath a Florida resort near Walt Disney World, causing a three-story building to partially collapse early Monday. 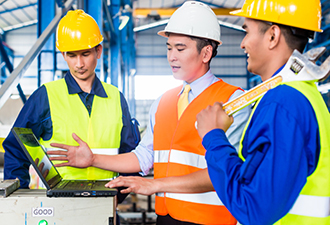 Employers who participate in federal safety programs will continue to enjoy exemptions from certain inspections after regulators dropped a plan to adjust the program. 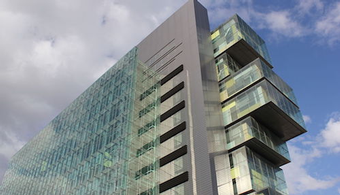 Federal health and safety officials have dropped a plan to increase their scrutiny of so-called “exemplary employers” who participate in recognition programs. 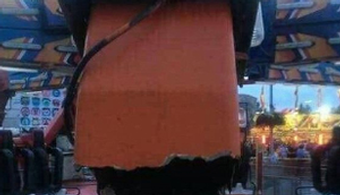 Unable to foot a $700 million repair bill, the U.S. Navy has decided to scrap a nuclear submarine severely damaged last year in a blaze set by a painter. At least eight people were injured, one critically, after a row house collapsed in Philadelphia Monday (July 29) morning, according to news reports. 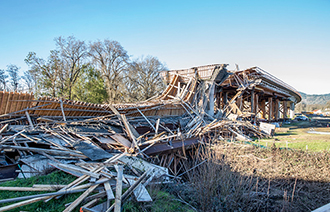 A demolition contractor in Fort Worth, TX, mistakenly razed a three-bedroom home earlier this month. 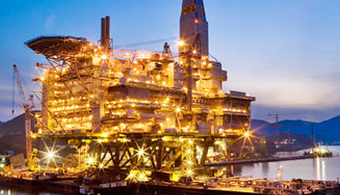 Natural gas from a drilling rig leaked for 14 hours before igniting and partially collapsing the structure off the coast of Louisiana on Tuesday (July 23). Past violations and asbestos problems plagued the site of last month's deadly building collapse in Philadelphia, according to newly released city records. 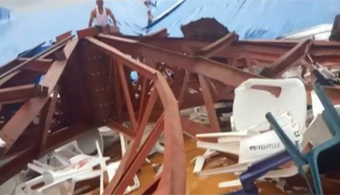 At least 17 people have been killed after a three-story hotel collapsed early Monday (July 8) in southern India—the latest in a string of deadly collapses in the region. 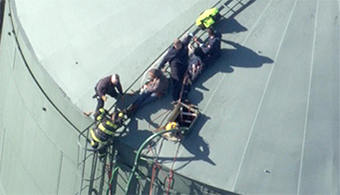 Faulty equipment is being blamed for a 35-foot fall suffered by a construction worker who was working on a crane at the Philadelphia Naval Shipyard. 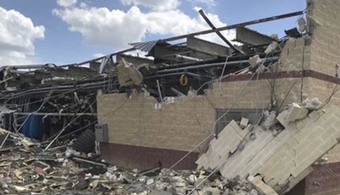 Federal safety authorities are investigating the cause of a building collapse that injured five construction workers, three critically, at a Texas A&M University campus. 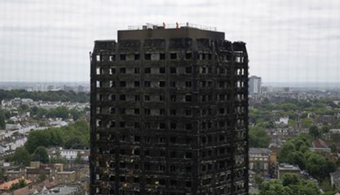 Against the backdrop of a mounting number of deadly structural collapses, the federal government has just released extensive documentation of its investigations into several such disasters. 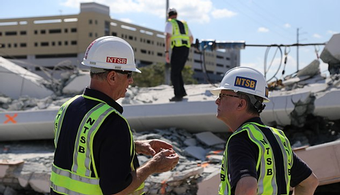 Investigations into deadly building collapses, structural failures, and other construction disasters are the focus on a new web page by the Occupational Safety and Health Administration. Just miles apart, two chemical plant explosions within two days in Louisiana claimed the lives of three people and sent well over 70 others to the hospital. 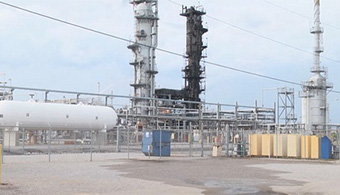 A chemical plant explosion killed two people and injured dozens more in Geismar, LA, on Thursday (June 13). 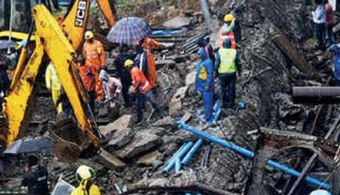 A four-story residential building in central Mumbai, India, partially collapsed on Monday (June 10), killing ten and injuring six, according to various reports. A construction worker was killed Tuesday (June 11) while working on the San Francisco 49ers’ new stadium in Santa Clara, CA. A heavy equipment operator working at the site of last Wednesday’s deadly building collapse in downtown Philadelphia has been arrested on involuntary manslaughter and other charges. A construction worker has died several days after falling from the Lower Perry Bridge in La Grande, OR. 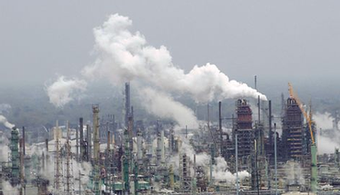 The U.S. Chemical Safety Board has released a free three-disc set of technical videos detailing some of the nation's worst chemical accidents. 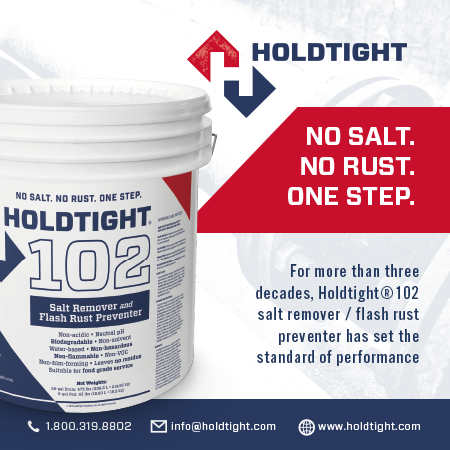 A worker on the Chesapeake Bay Bridge near Baltimore, MD, was seriously injured on Tuesday, June 4, after a five-gallon paint bucket fell, striking him on the head. 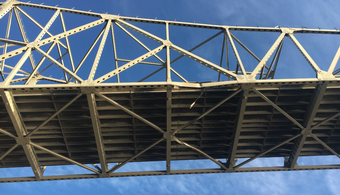 Two bridge painters can thank their fall protection for saving their lives after a support platform gave way and left them dangling from the Newburgh-Beacon Bridge in New York. 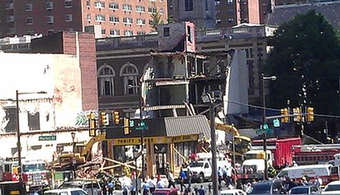 A building undergoing demolition work collapsed onto a thrift store in downtown Philadelphia Wednesday morning, killing at least one person, reports said. 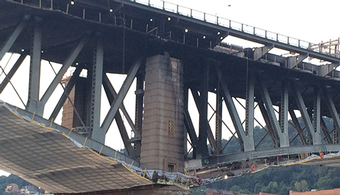 Federal transportation investigators are combing the scene of the nation’s second bridge collapse in less than a week. Authorities are searching for the cause of a collapse of a 50,000-pound concrete section of a parking garage under construction in Maryland that killed one worker and injured another. Authorities are investigating the death of a worker on a Kentucky bridge painting project that has been fast-tracked for early completion. 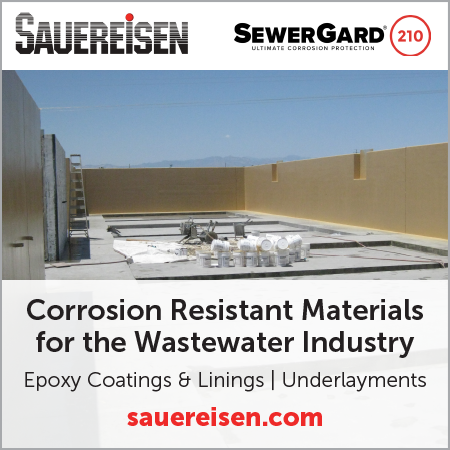 An Illinois industrial cleaning and painting firm is being held responsible for the death of a worker, who was stricken while cleaning a methylene chloride tank inside a paint thinner plant. 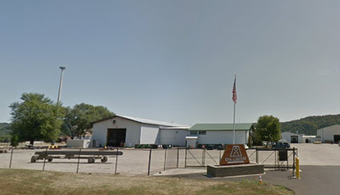 Two workers have been critically burned in explosions at an Oklahoma abrasive blasting and coating plant that may have been operating unlawfully, authorities say. 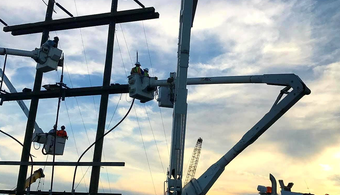 A New York industrial painting contractor who lost two transmission tower painters in two deadly falls two years apart is now facing $35,000 in fines for new federal safety citations. 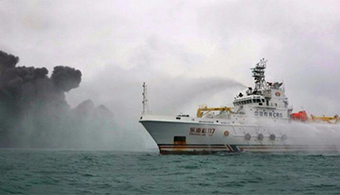 For the second time in two years, regulators have ordered BP to address offshore maintenance lapses that have led to fires and risked catastrophes aboard oil and gas platforms. 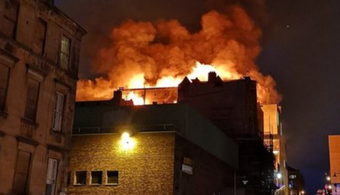 Fire ripped through a polymer coating facility in Canada over the weekend, causing $1 million in damage and requiring 60 firefighters to bring the blaze under control. M-i-c-k-e-y M-o-u-s-e is in big trouble with C-a-l/O-S-H-A. Seven workers have died while cleaning a tank at a brewery in Mexico City for Grupo Modelo, the parent company of Corona beer, the company has confirmed. A commercial roofing contractor whose employee was paralyzed in a 20-foot fall is facing a $115,500 fine and three willful federal safety violations in the case. Both the engineer and owner of the doomed Elliot Lake mall had similar connections to a Michigan mall that partially collapsed in 1995, the Elliot Lake Commission Inquiry learned last week. 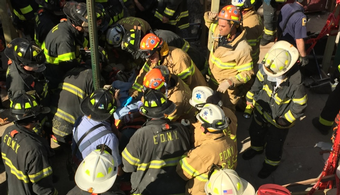 A New York City subway construction worker is lucky to be alive and safe after a dramatic rescue freed him from a quicksand-like concrete slurry 75 feet below the street. 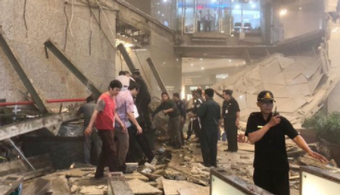 The only surprise in last summer's fatal cave-in at an Ontario shopping mall is that it didn't happen a lot sooner. 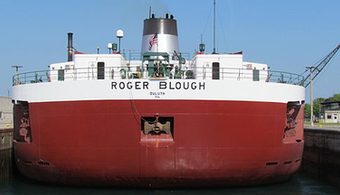 Just days after a shipyard painter was sentenced for setting two fires aboard a drydocked nuclear sub, fire crews responded this week to a new fire caused by abrasive blasting on the ship. 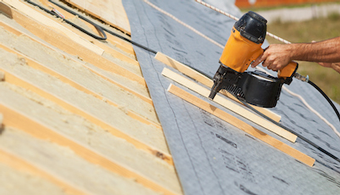 A New Jersey roofing contractor with a history of federal safety violations is now facing $57,300 in new fines stemming from a 20-foot fall that left a worker with a broken neck. 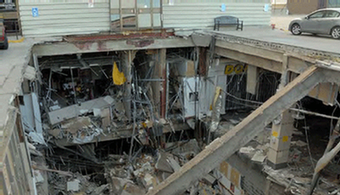 Engineers investigating the deadly collapse at Algo Centre Mall in Ontario say it’s surprising that the 32-year-old structure did not fail sooner. 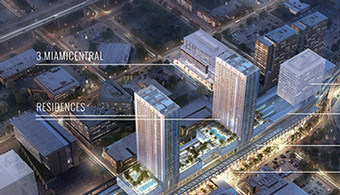 Two Florida contractors are appealing a total of $17,500 in fines imposed in the deaths of two maintenance workers who were electrocuted while removing molding at a luxury condo project. 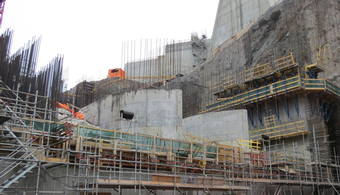 One emergency radio system—rather than a protracted chain of cell-phone calls—could have helped save the life of bridge worker Tilden Billiot, a federal review panel has concluded. 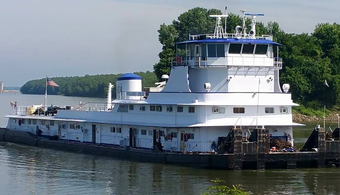 A fire so intense that the U.S. Coast Guard was waiting to extinguish it continued to blaze late Wednesday in a Louisiana bayou after a tugboat pushing an oil barge struck a pipeline. The hunt for responsibility in the deadly roof collapse at an Ontario mall continued this week with testimony from the architect who designed the structure more than three decades ago. Two explosions and a massive fire at a coatings plant near Chicago this week injured three people and sparked panic in the surrounding area. 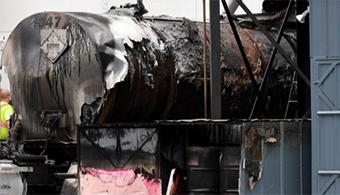 Fire investigators are searching for answers after a blaze destroyed a pipeline coating facility in Leduc, Alberta. 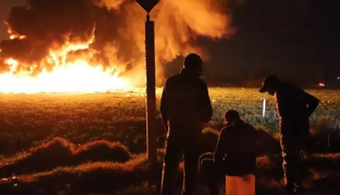 BASF has confirmed that an explosive device, most likely a World War II-era bomb, caused the blast that left one person injured Tuesday at a plant construction site in Germany. An explosion at BASF’s plant construction site in Germany has injured one worker, the giant chemical manufacturer said on Tuesday (Feb. 26). 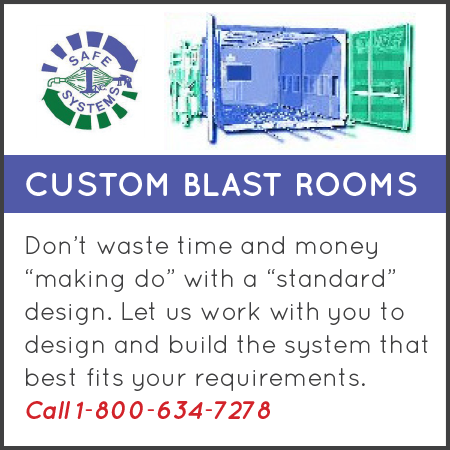 Federal regulators are holding three contracting firms liable for a combustible-dust flash fire that claimed the lives of two workers in a paint booth at a Texas facility in August. 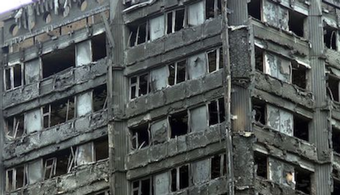 Haunted by catastrophic terrorist bombings of their transit systems, European researchers have developed a window coating that helps keep glass intact when shattered by a blast. Some of the nine million pounds of steel from the fallen Interstate 35W bridge in Minnesota may be pieced off to survivors of the bridge collapse as a solemn memorial. 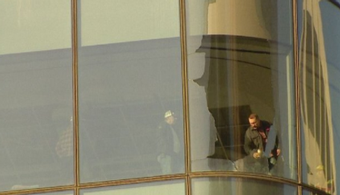 A Boston construction worker likely owes his life to containment sheeting that broke his 30-foot plunge from scaffolding on a building project Monday (Feb. 4), officials say. The construction contractor on a project that claimed the life of Westfield, MA, police officer has been issued a $14,000 fine after an investigation found a repeat safety violation. An NJ Transit train full of commuters collided with a tractor-trailer full of paint in Little Falls, NJ, leaving several injuries and one whopping mess. Federal officials are investigating the partial collapse of a police facility under construction that injured several workers on Tuesday (Jan. 29) afternoon in Philadelphia. 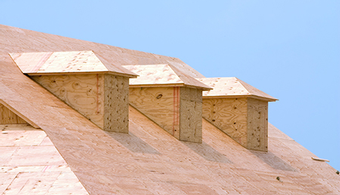 Federal regulators are holding an Ohio roofing company liable for the death of a temporary worker who suffered heat stroke on a commercial project last August. 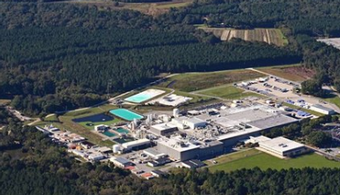 Authorities are investigating the death of a contract worker who was cleaning a fume tank at a South Carolina paper mill owned by Resolute Forest Products. 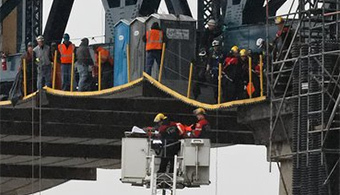 Federal authorities are investigating the death of an engineer who plunged 140 feet in a fall from a New York City bridge he was inspecting earlier this month. 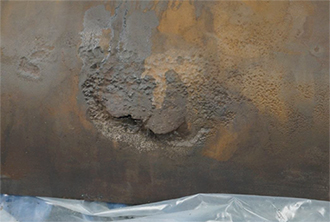 Heavy corrosion caused a pipeline wall to thin to one-fourth of its original thickness, leading to its rupture in December, a new federal report has found. At least 24 people have been killed and 11 injured after an eight-story apartment building collapsed early Wednesday (Jan. 16) in Alexandria, Egypt, reports said. Tired of fighting traffic on your way to work? 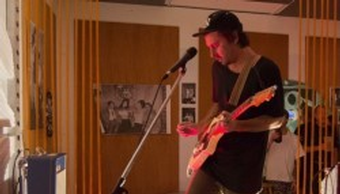 Try free-climbing to your job. More than 1,700 feet in the air. Without safety lines. 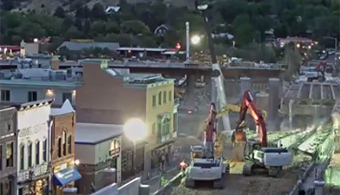 Two Wisconsin construction firms are being held liable for a fatal crane collapse at a bridge construction site last year—the second death in three months for one of the contractors. 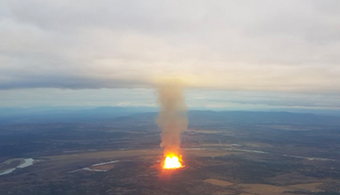 Two years after a California pipeline explosion killed eight people and demolished a neighborhood, the utility's customers have been handed the bill: $299 million. 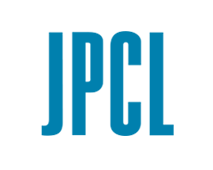 **Commercial white papers, product videos, and other sponsored documents posted on this site are paid content from third-party companies; inclusion and posting on this site does not imply an endorsement nor recommendation of the content by Technology Publishing/PaintSquare. 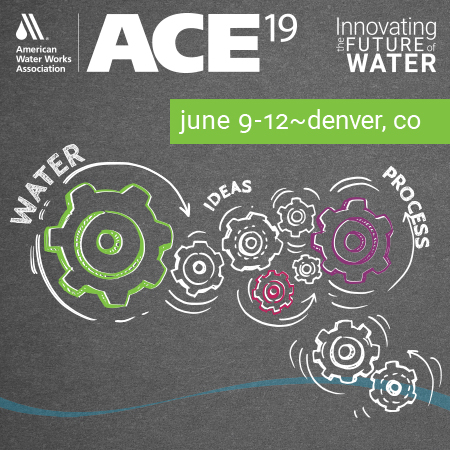 By signing in and viewing or downloading this paid content, you agree to make your name and full contact information available to the sponsor of the content.